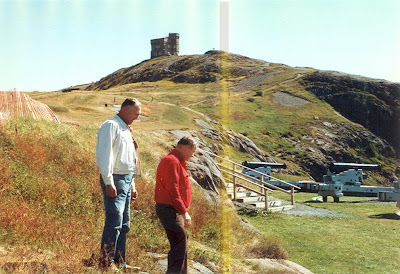 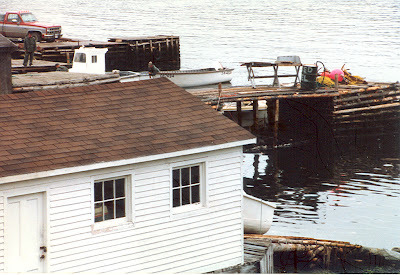 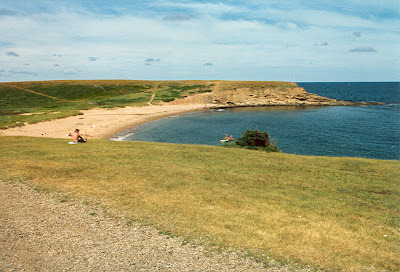 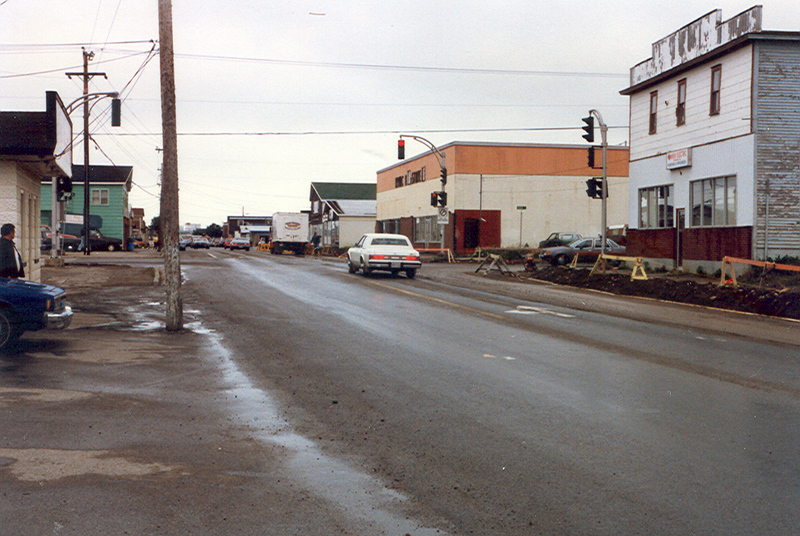 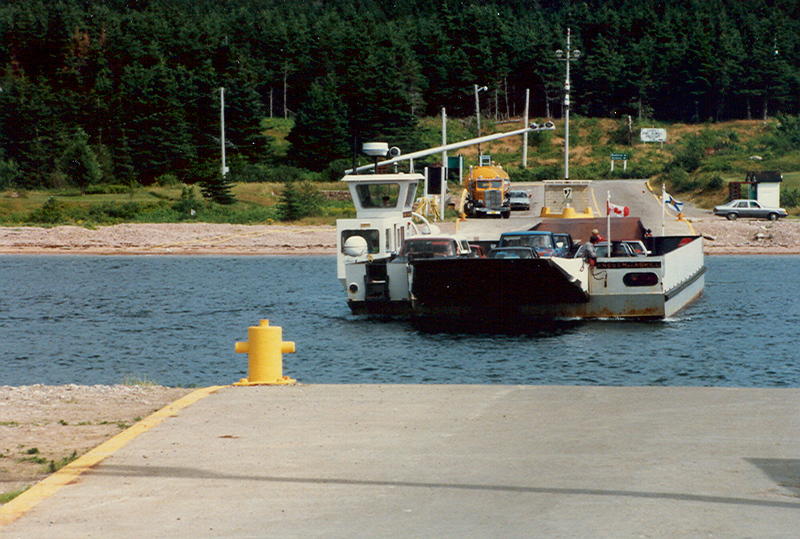 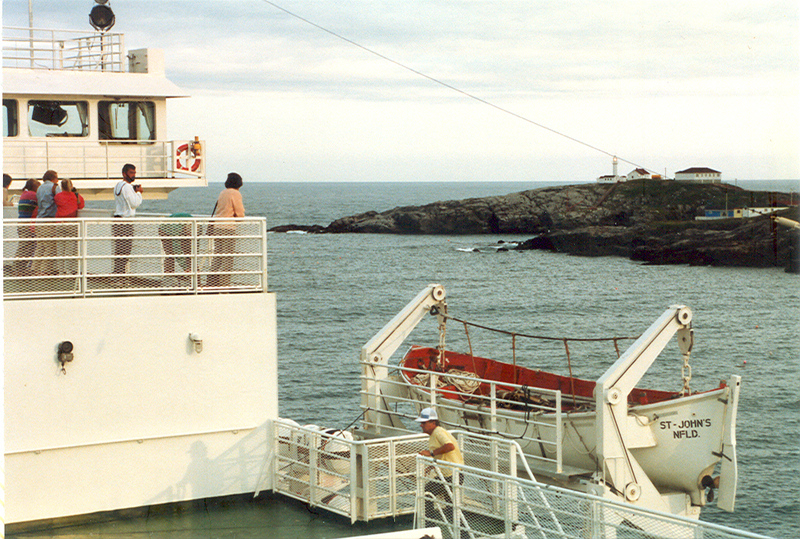 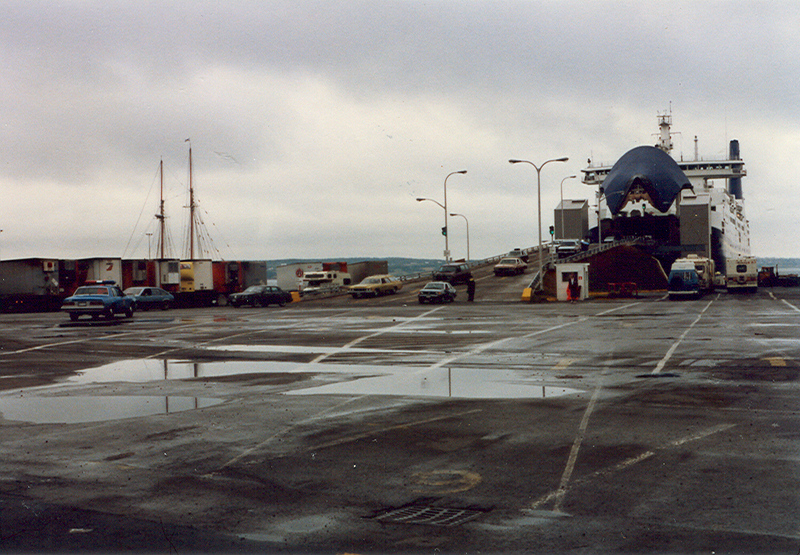 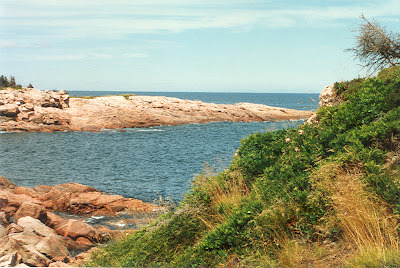 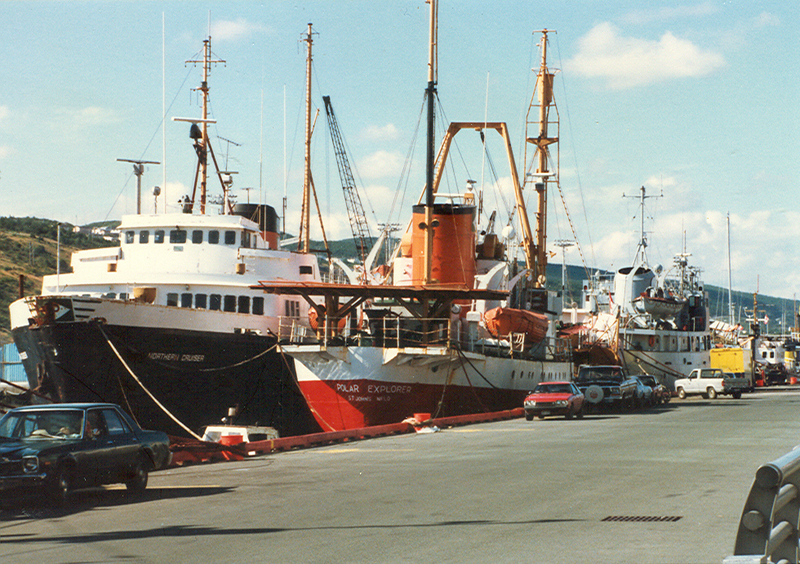 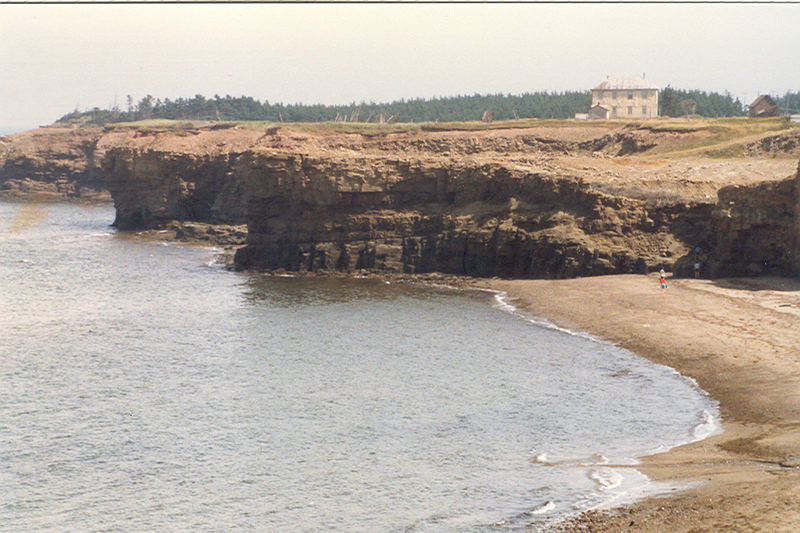 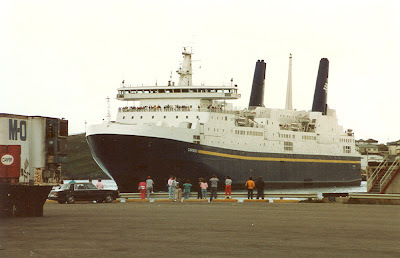 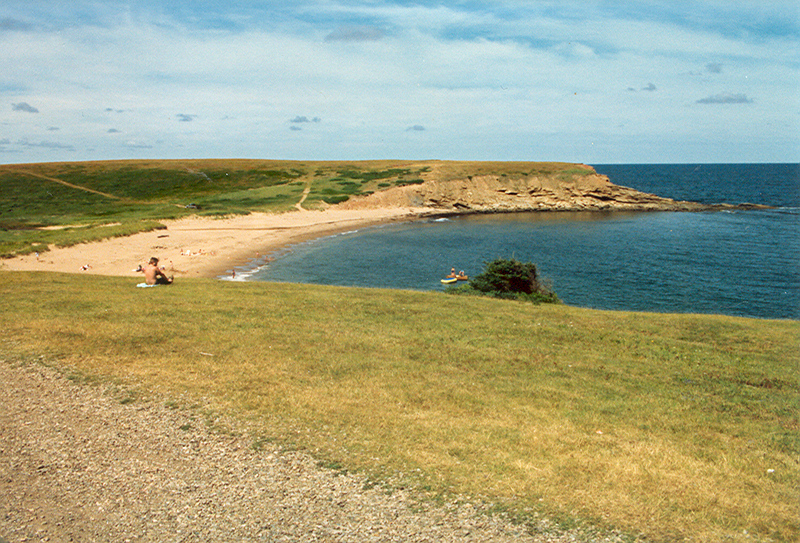 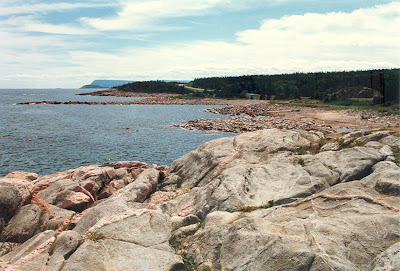 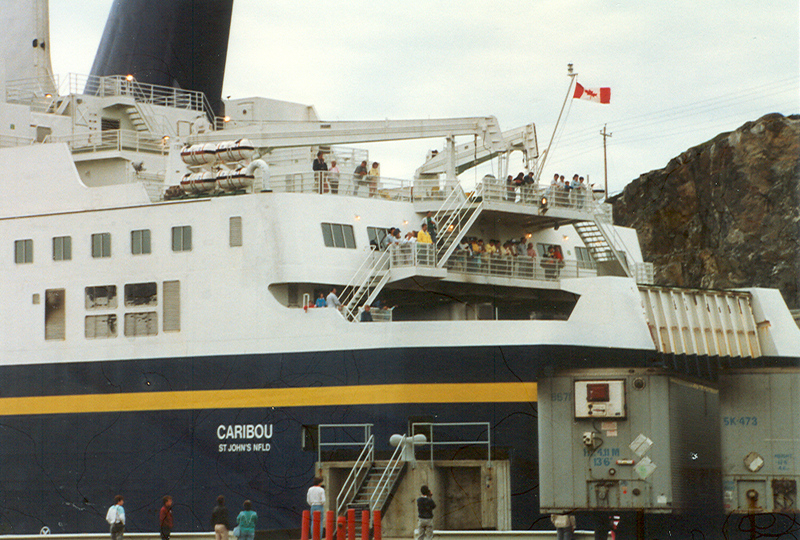 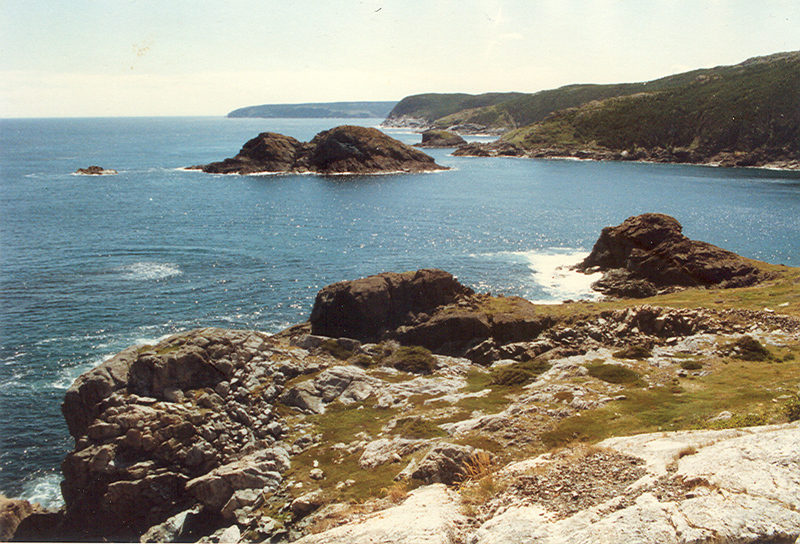 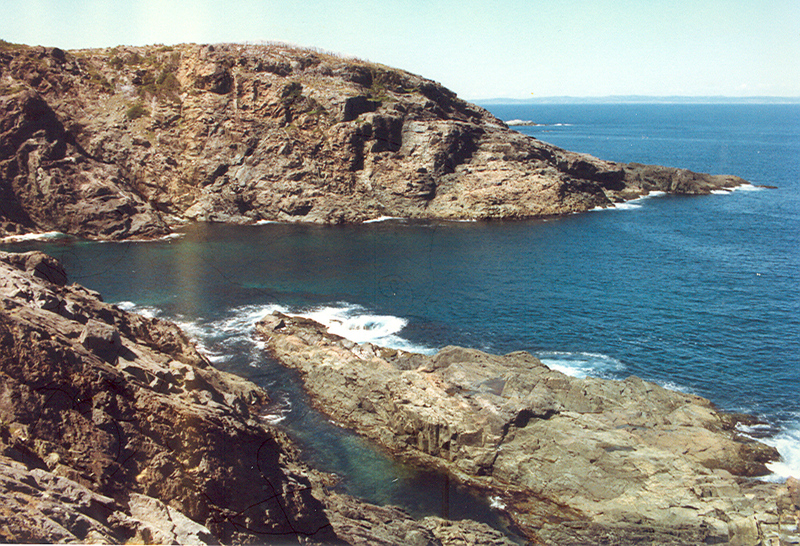 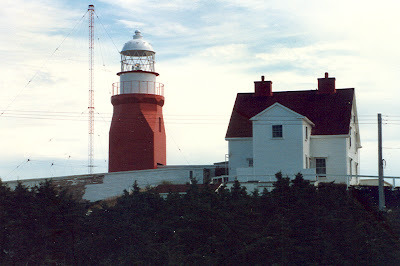 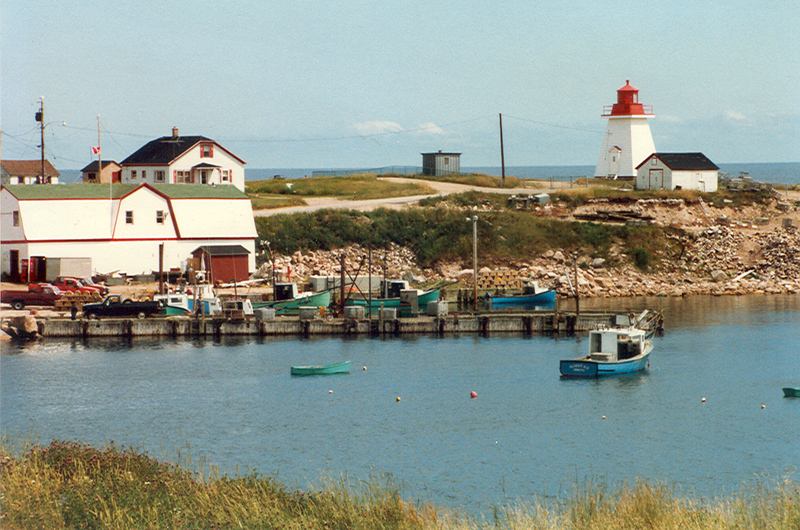 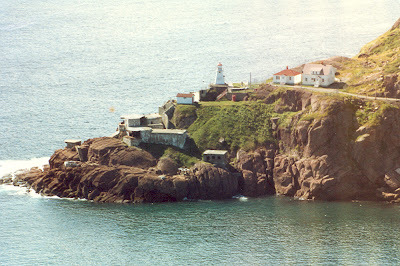 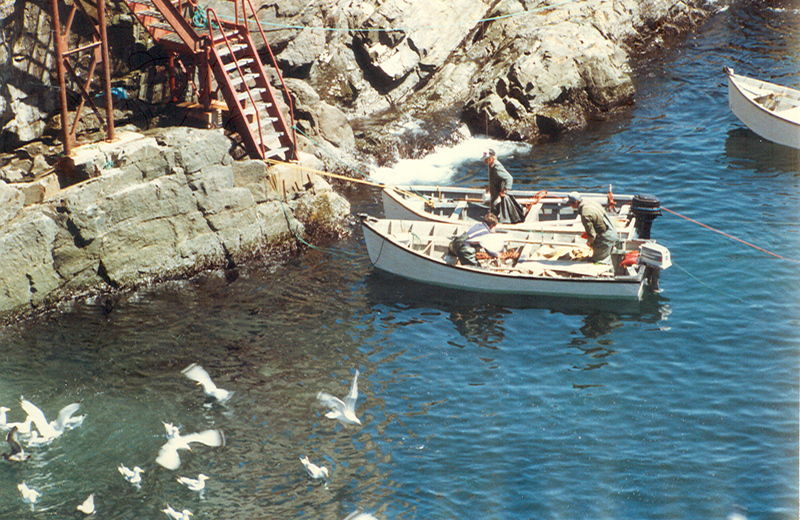 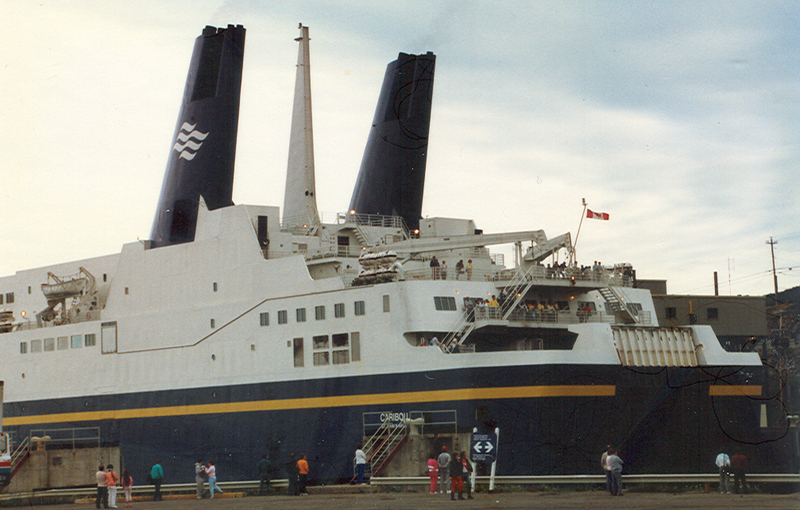 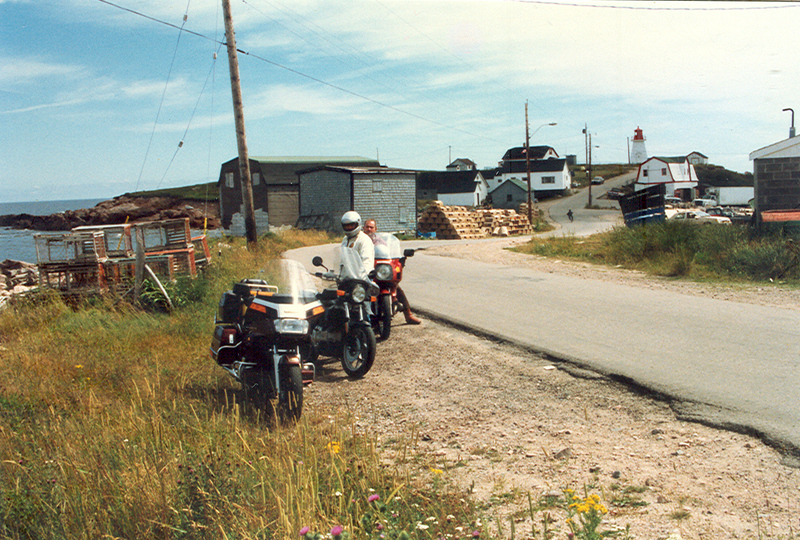 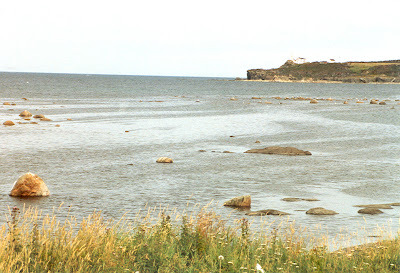 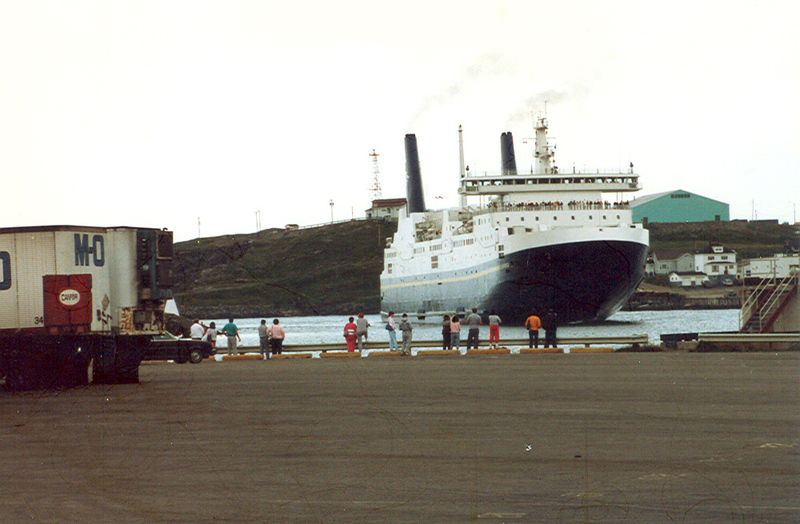 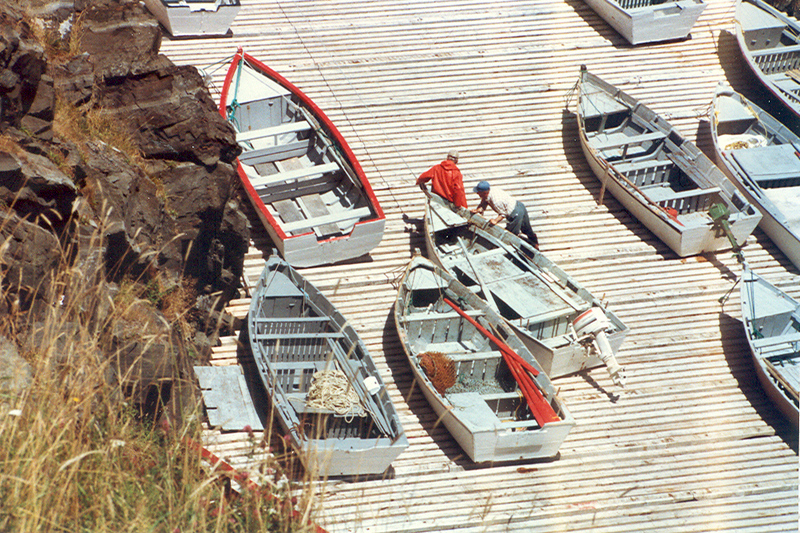 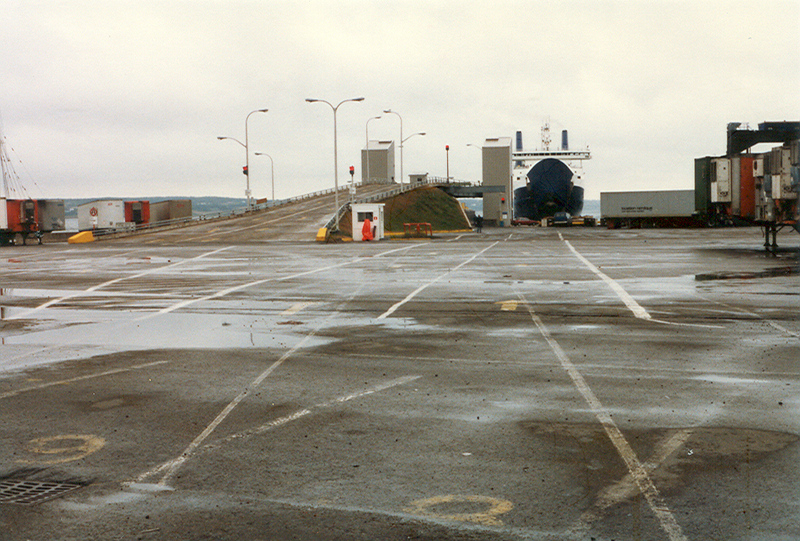 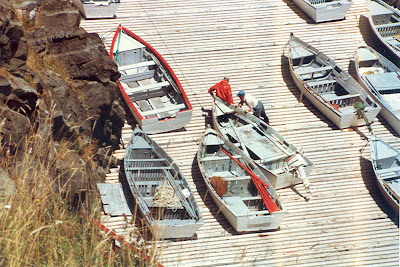 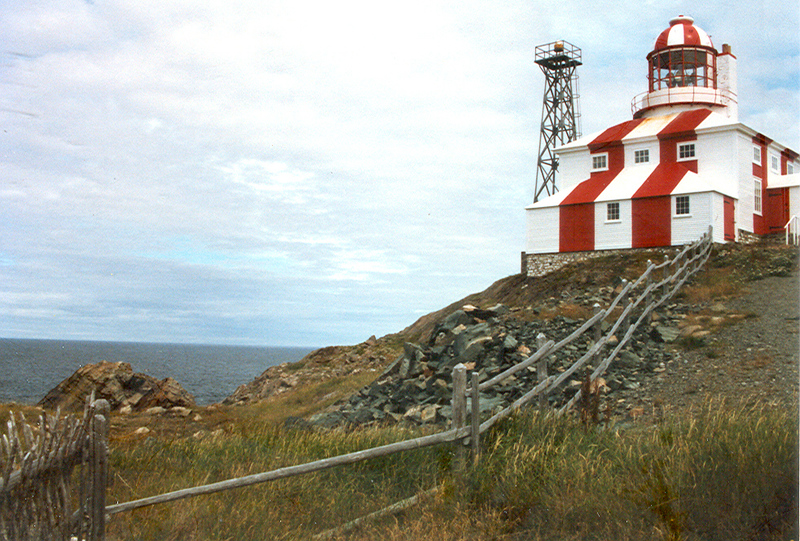 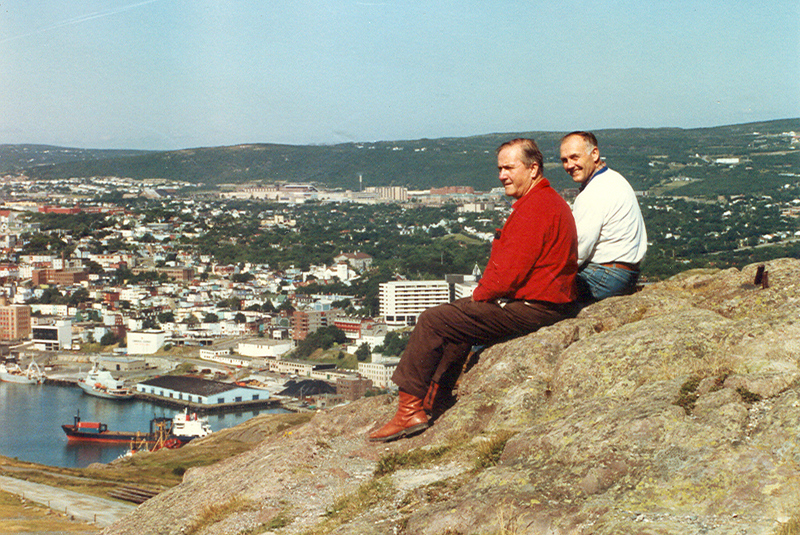 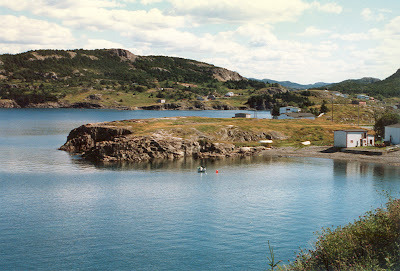 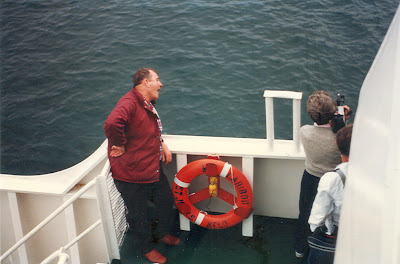 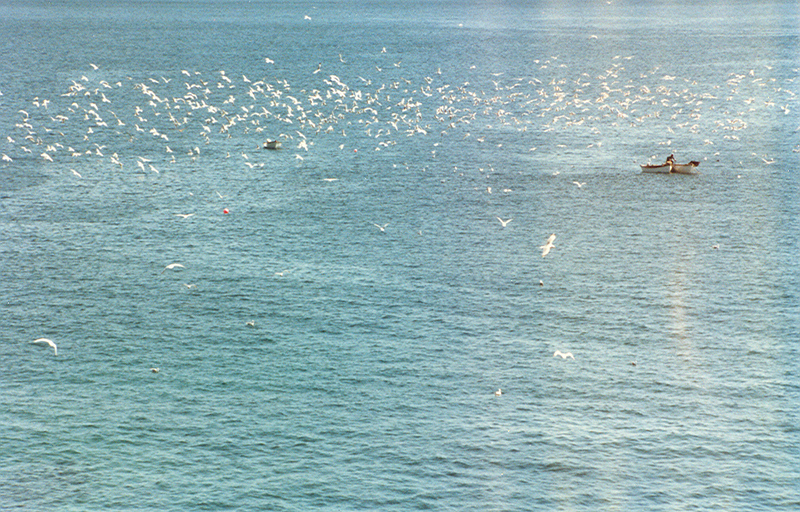 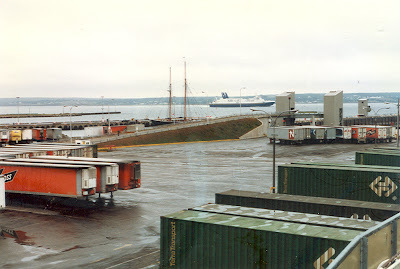 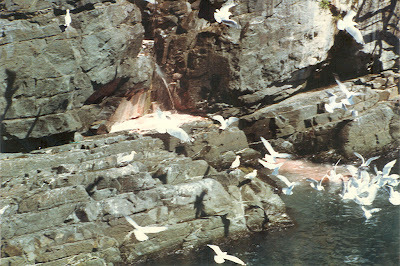 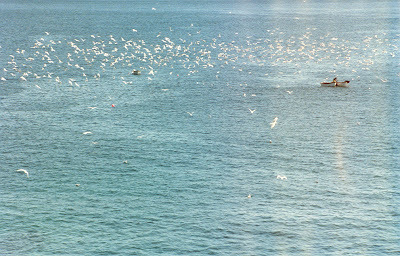 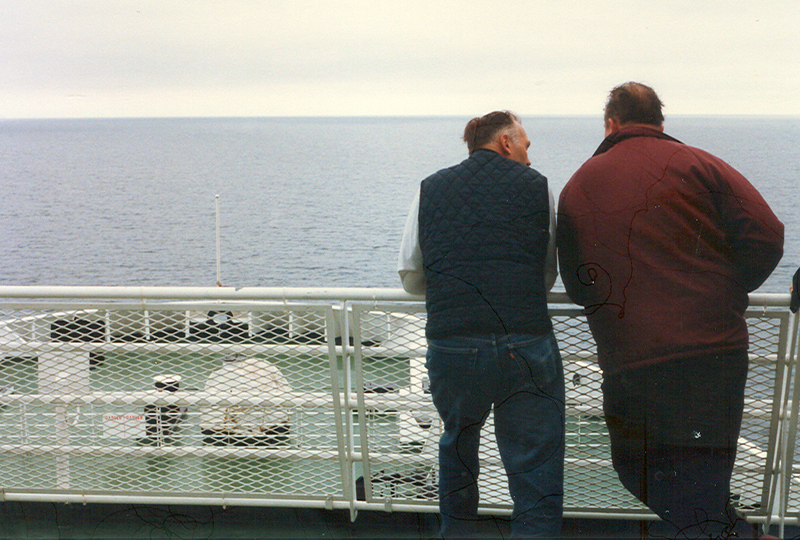 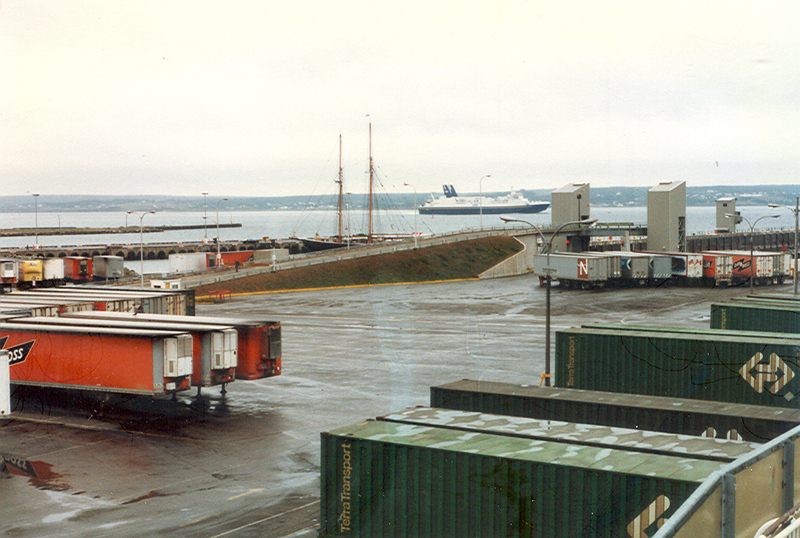 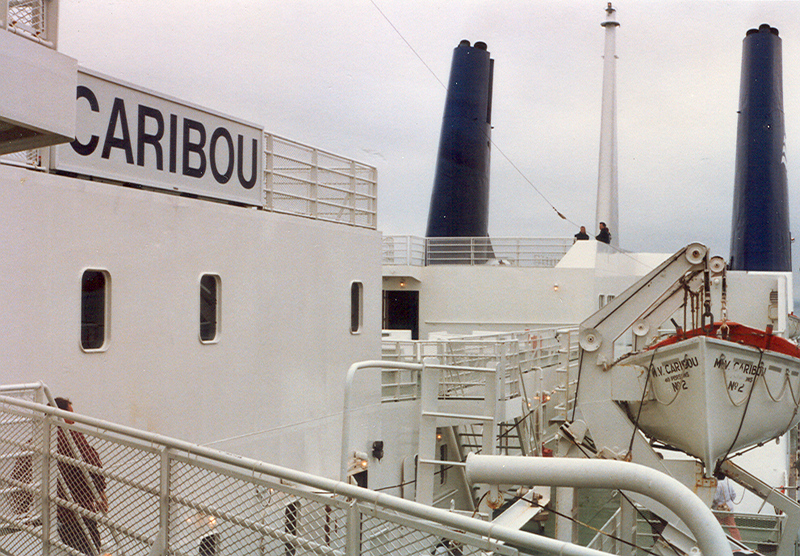 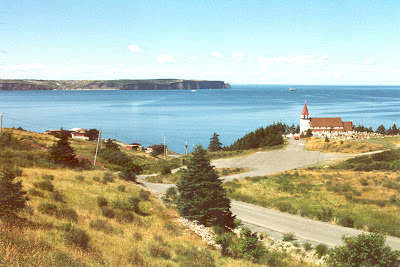 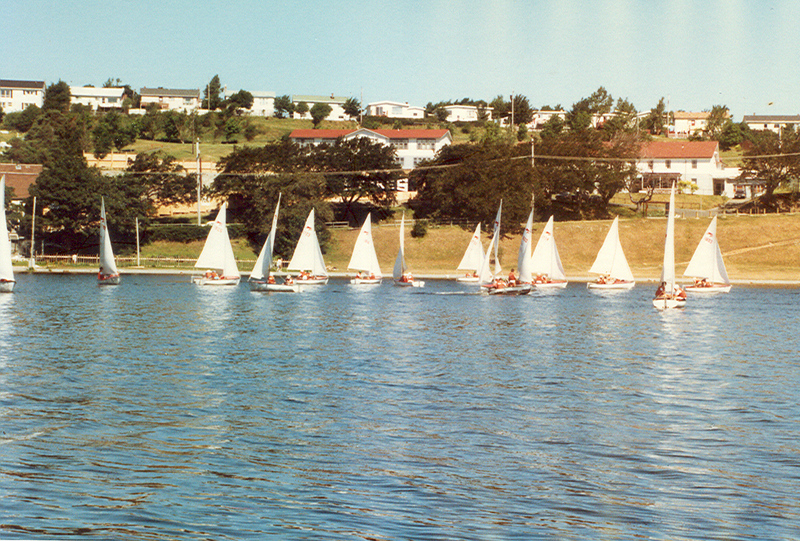 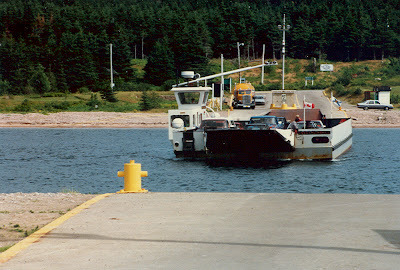 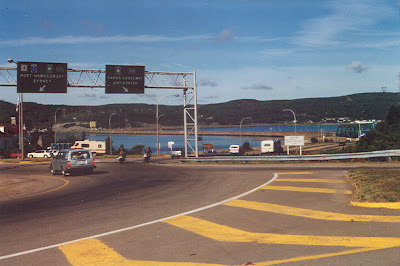 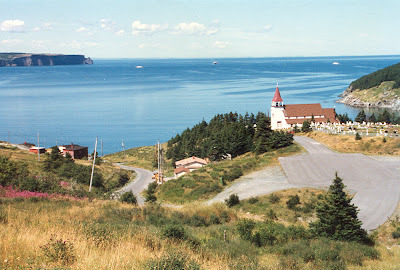 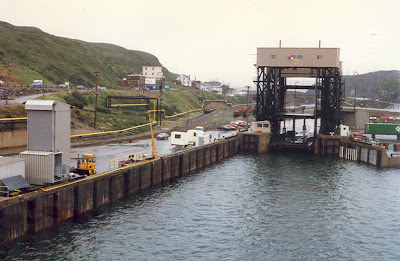 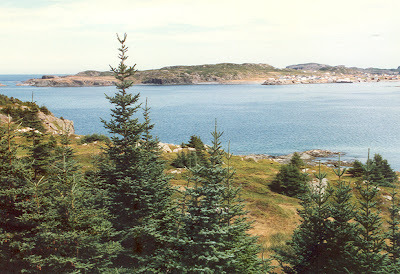 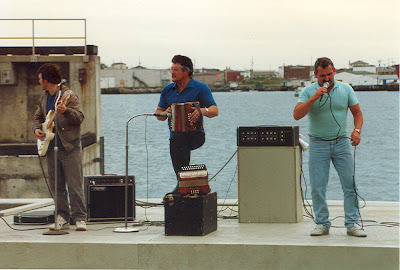 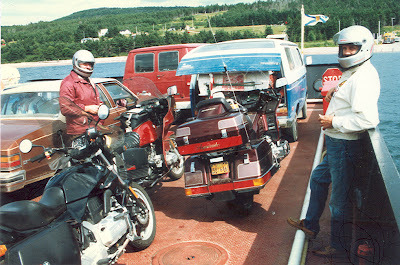 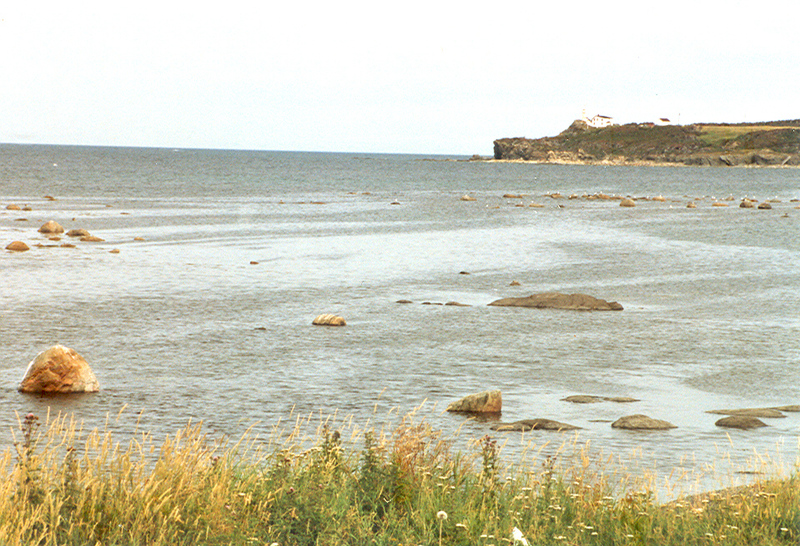 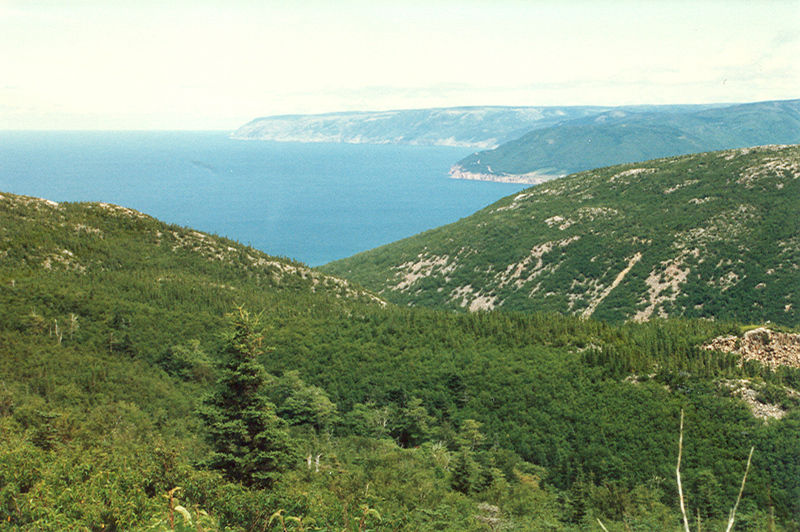 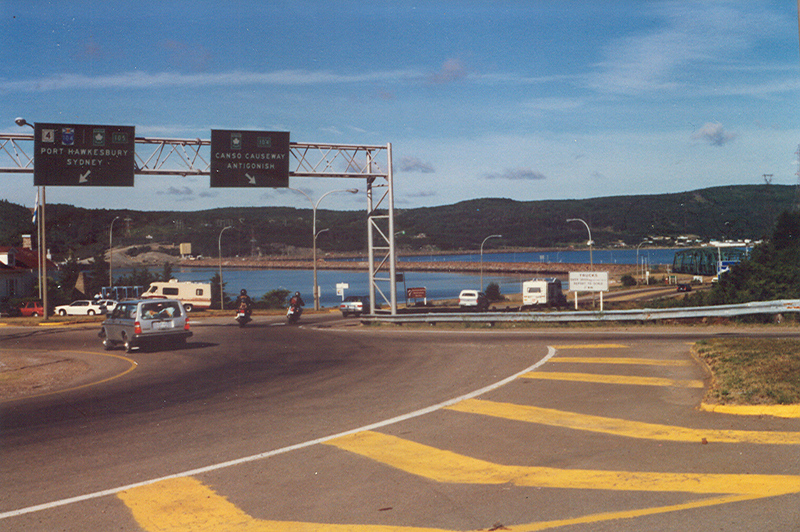 Ed McIntyre suggested the trip when he, Bud Peck and I stood near the ferry slip in North Sydney, Nova Scotia on an earlier tour of the Maritime Provinces. 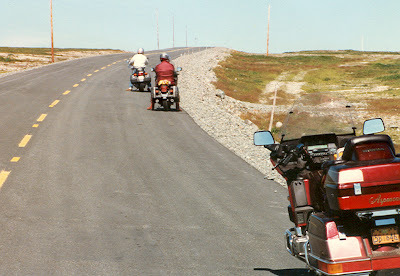 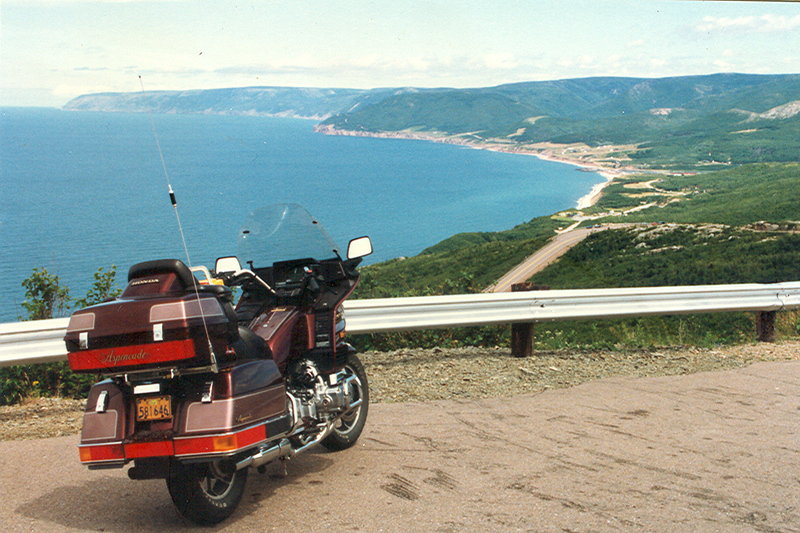 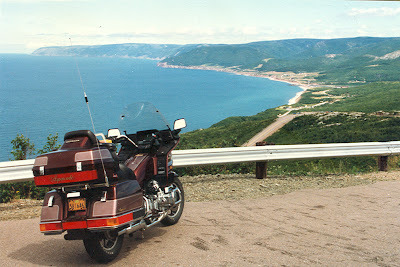 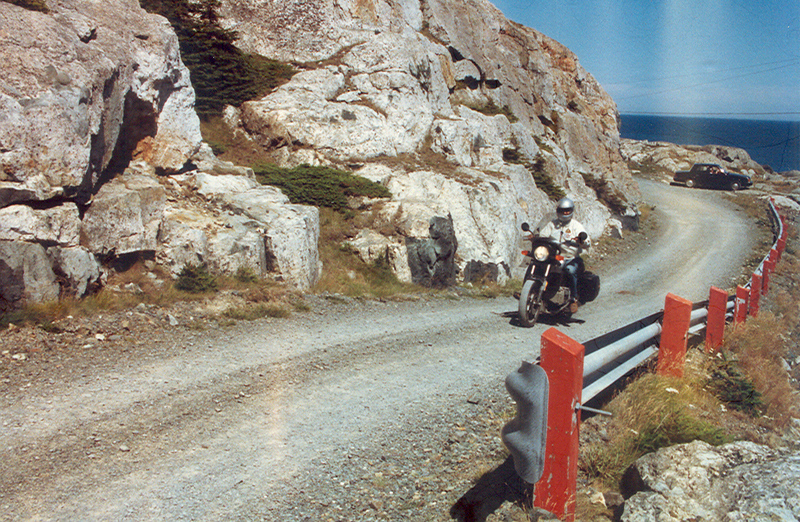 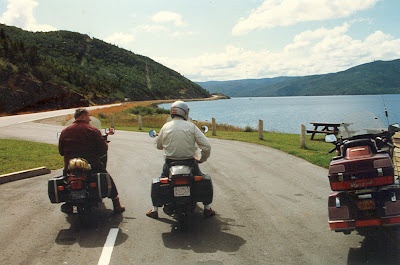 The highlight of that earlier tour was the Cabot Trail around Cape Breton Island where we rode the twisty coastal highway all the way around the island and saw many quaint villages whose economy is based primarily on fishing and trapping lobsters. 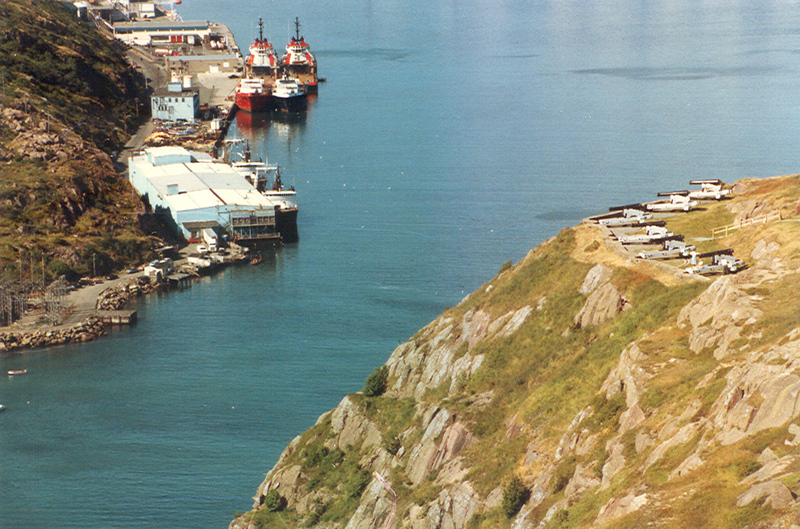 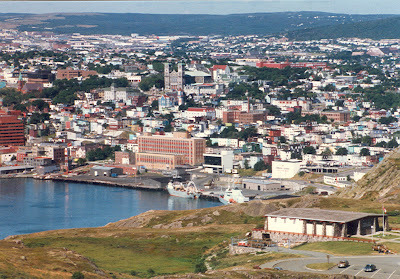 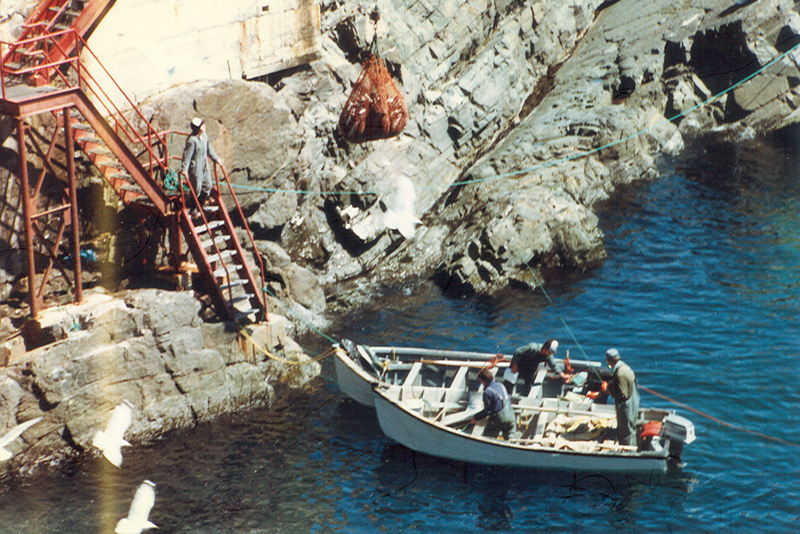 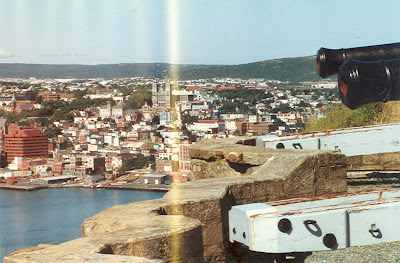 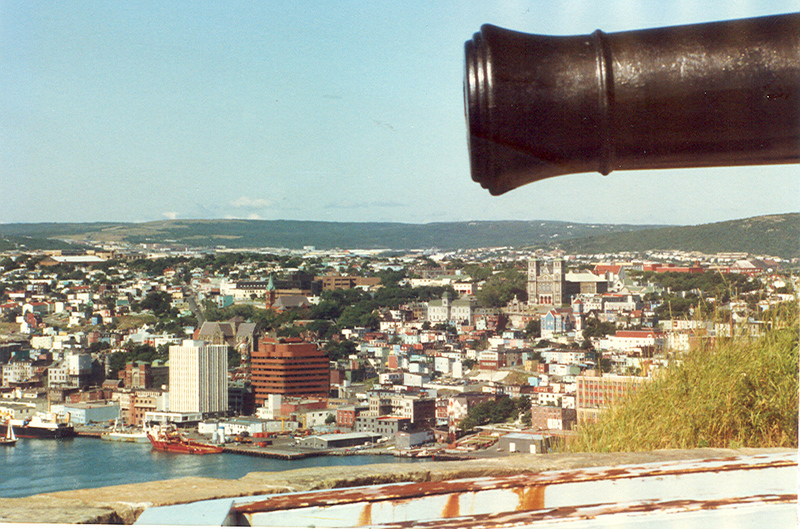 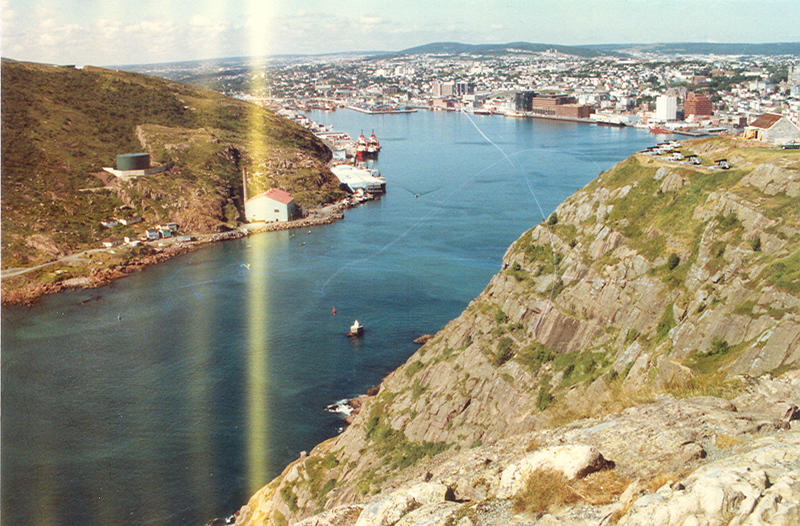 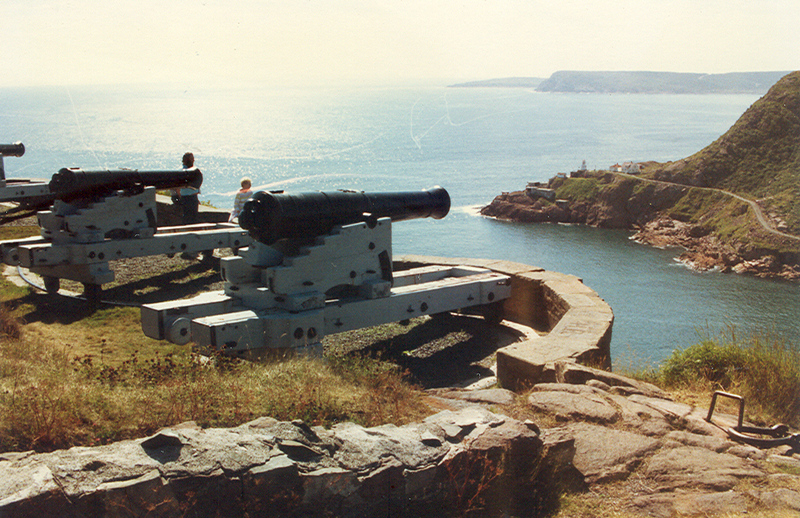 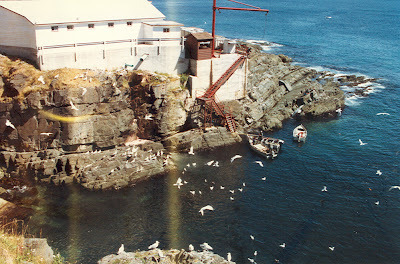 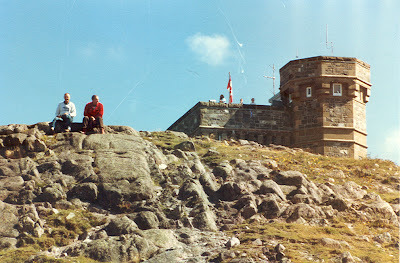 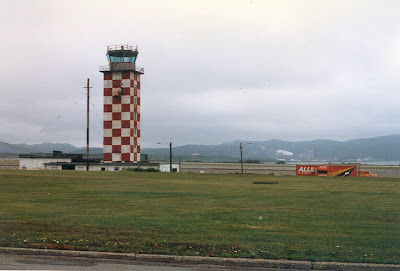 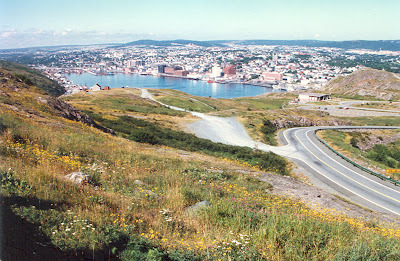 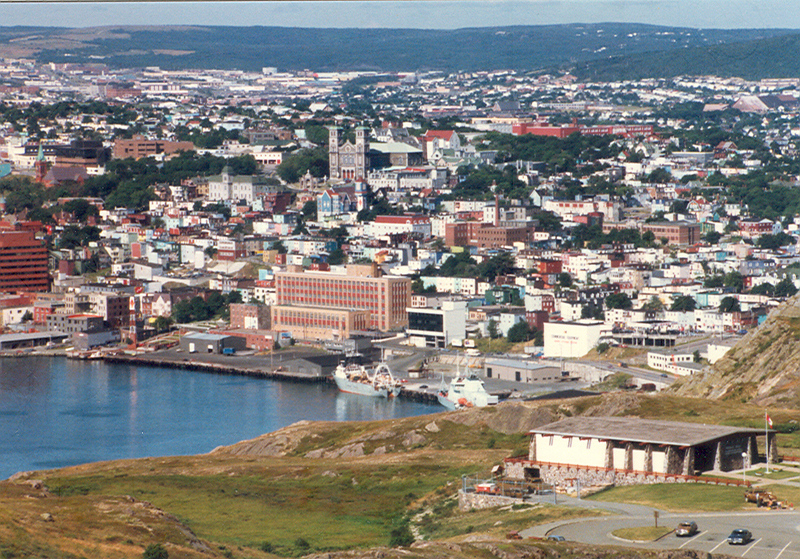 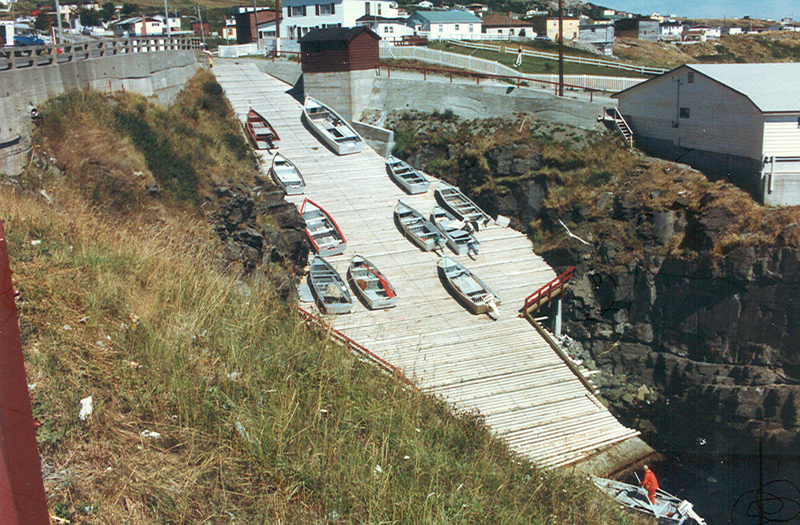 Remembering the two years I spent in Newfoundland in the Air Force in the early 1950s my immediate reply was, "What would anyone want to go to Newfoundland for? It's rainy and cloudy all the time and the wind blows constantly.” On the rare occasions that the rain lets up and the wind stops blowing, you couldn’t see for the fog. 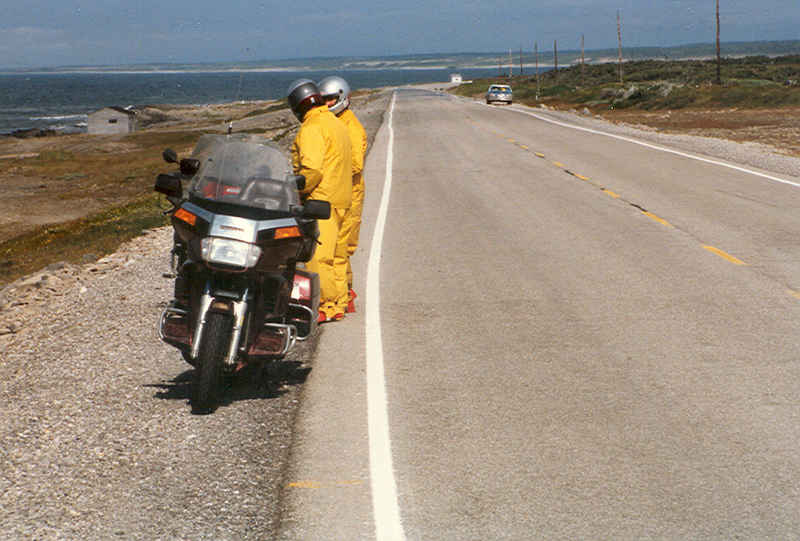 Actually it rained for a total of only about four hours out of the seven days we eventually spent on the island, and we experienced strong winds only once while we were there, which was near Stephenville where I was stationed. 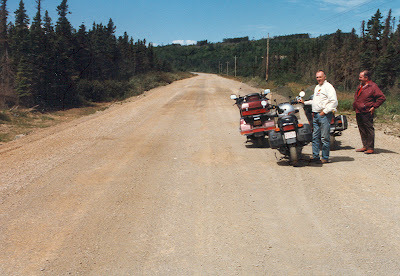 I saw a road sign near there during our trip that warned of wind in excess of 200 km (125 mph) having been measured along that section of road. 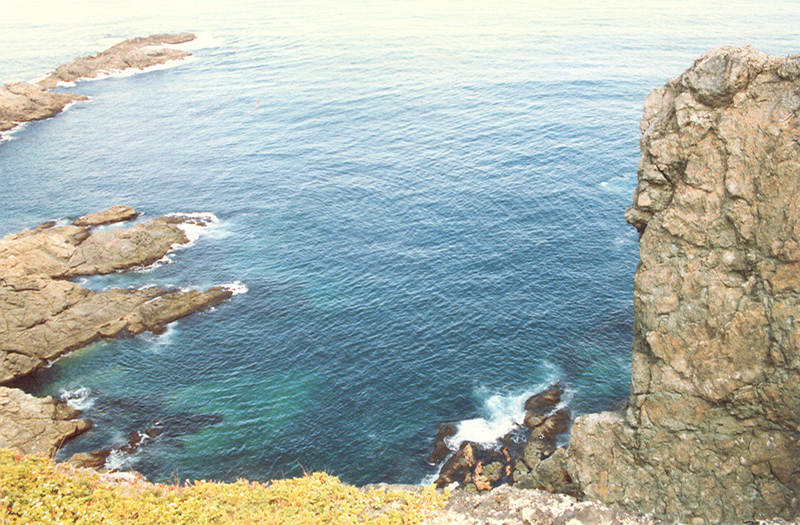 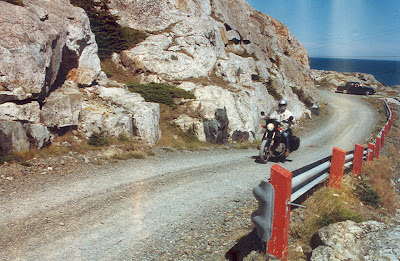 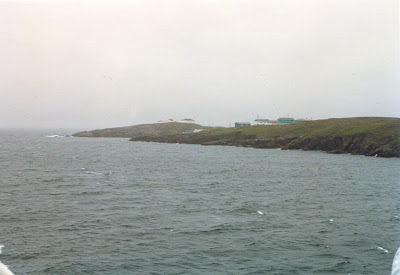 We saw fog only once too, and that was miles out at sea on the Grand Banks, off the southern tip of the Avalon Peninsula. 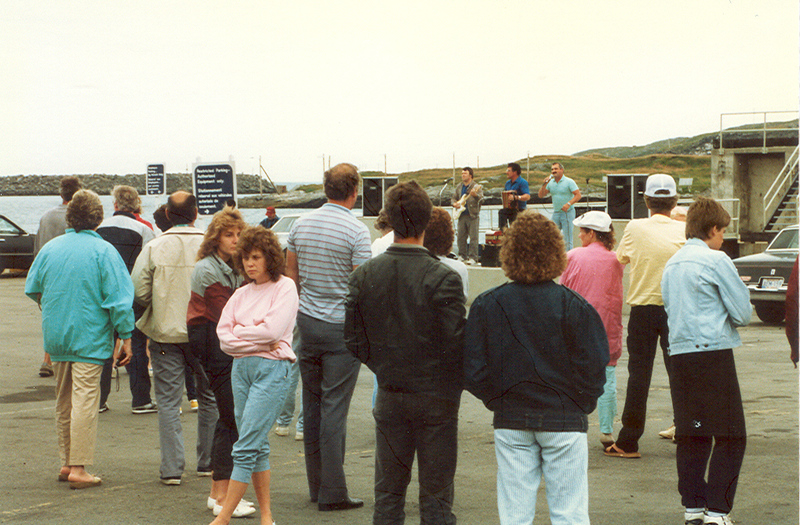 We heard from several native Newfoundlanders that it was the most extraordinary summer they had experienced in 30 years. 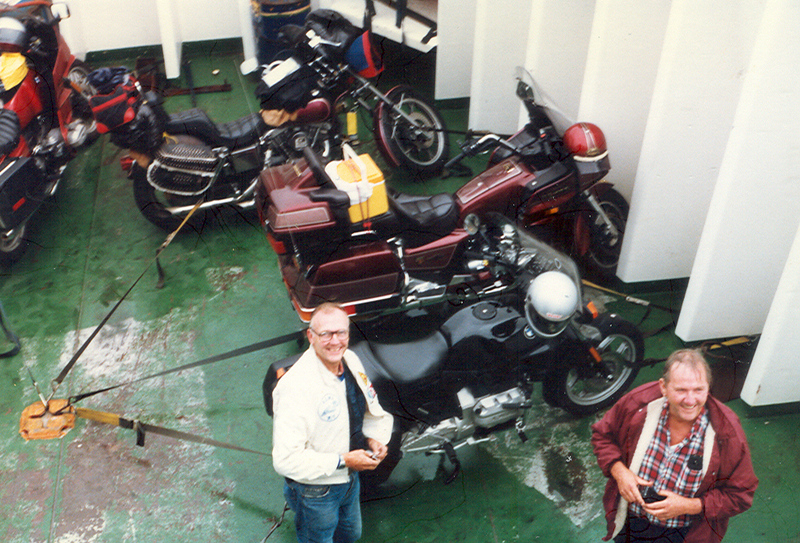 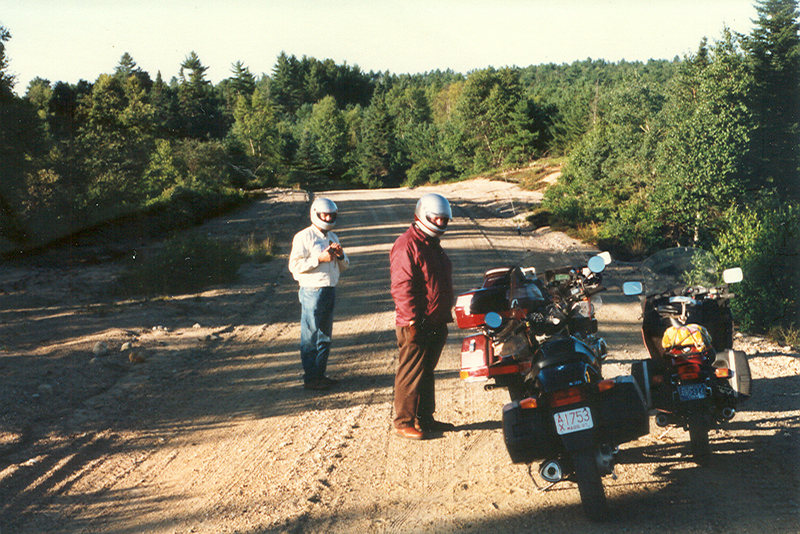 Following is an excerpt from my book “Motorcycling Stories – Adventure Touring from the Northwest Territroies to the Yucatan Peninsula” about the trip. 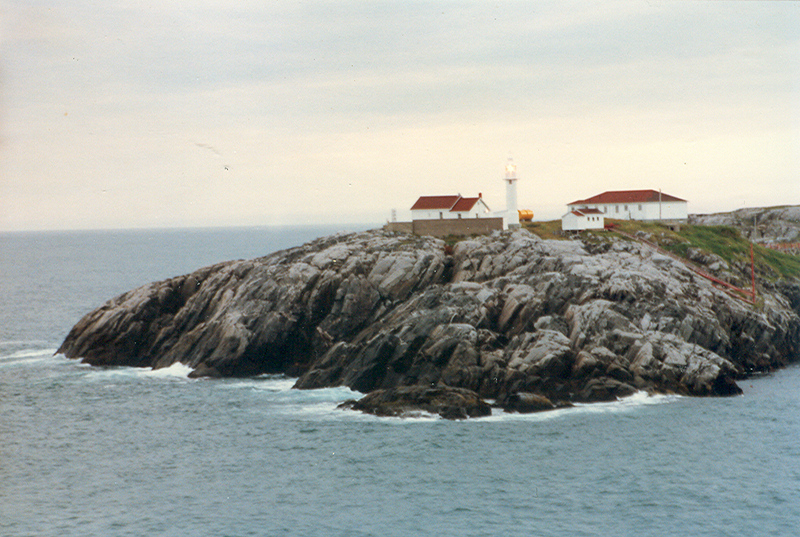 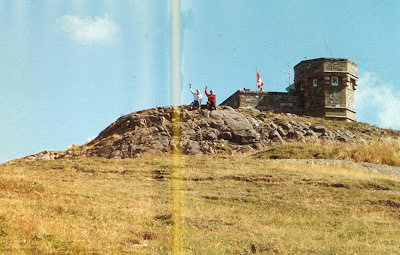 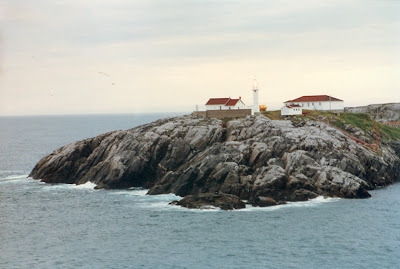 “On our return across the island we visited Twillingate on the northern coast and the lighthouse at Crow Head where we stood at the edge of a vertical cliff hundreds of feet above the ocean to look for whales. 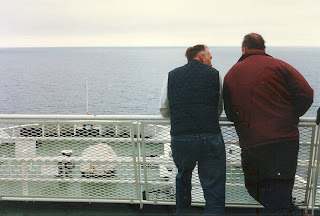 Most visitors were content to stand behind a tall fence and look from there, but Bud and I walked out to the very edge, which gave me a rush from the excitement. A voice yelled, "Whale," and sure enough one of the large mammals surfaced directly below us and blew water far into the air from its spout. 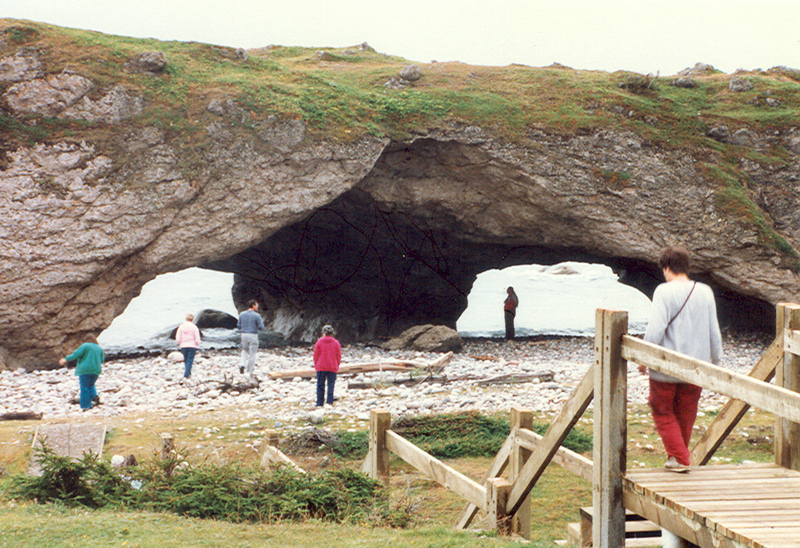 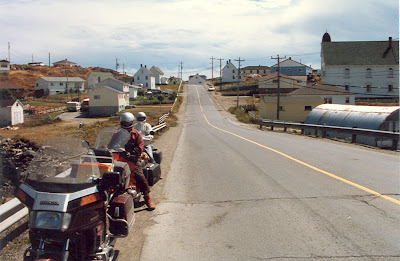 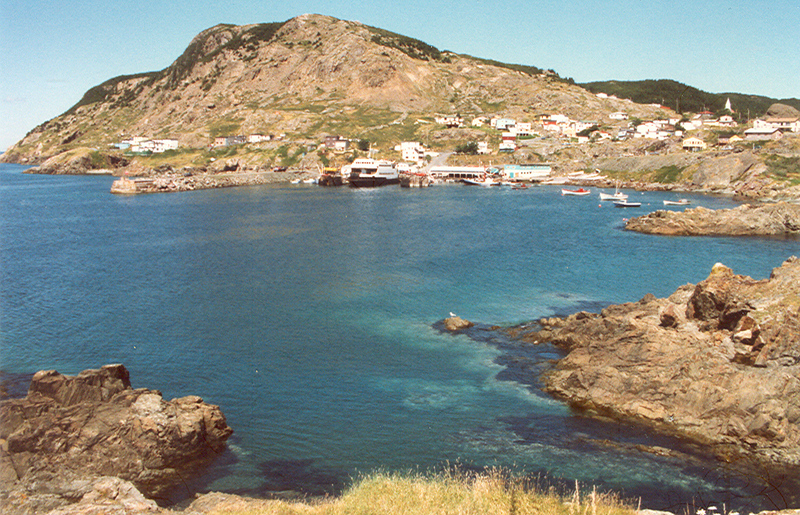 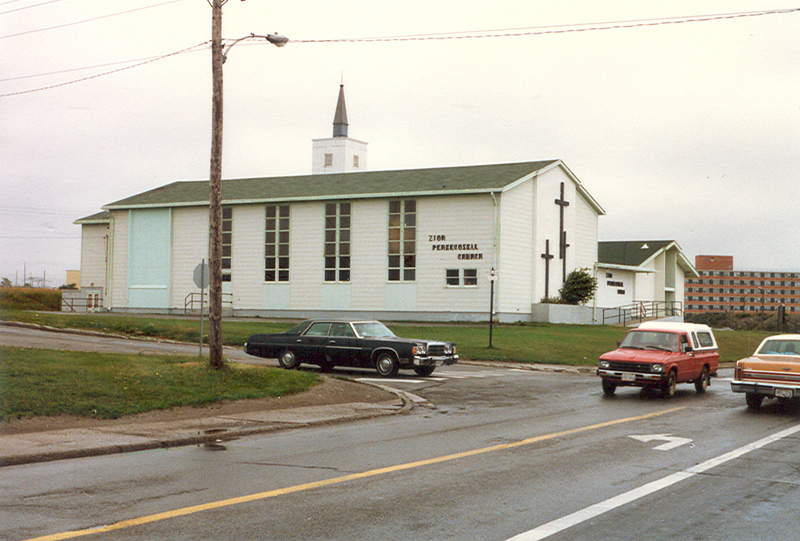 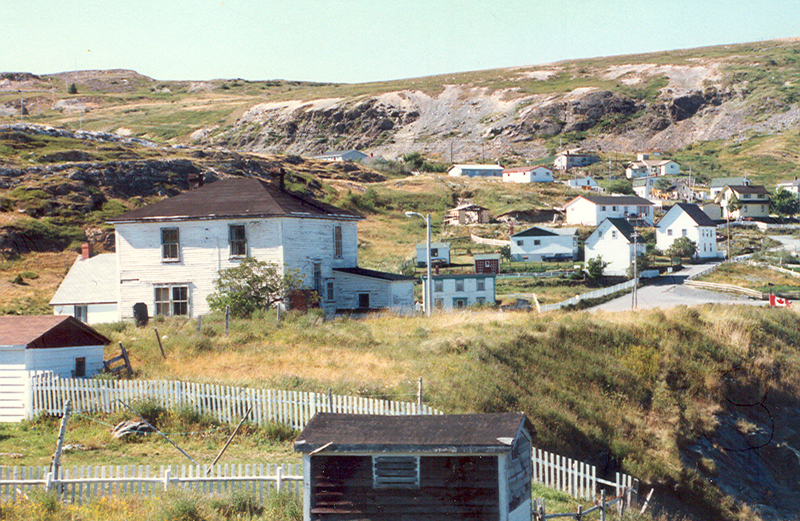 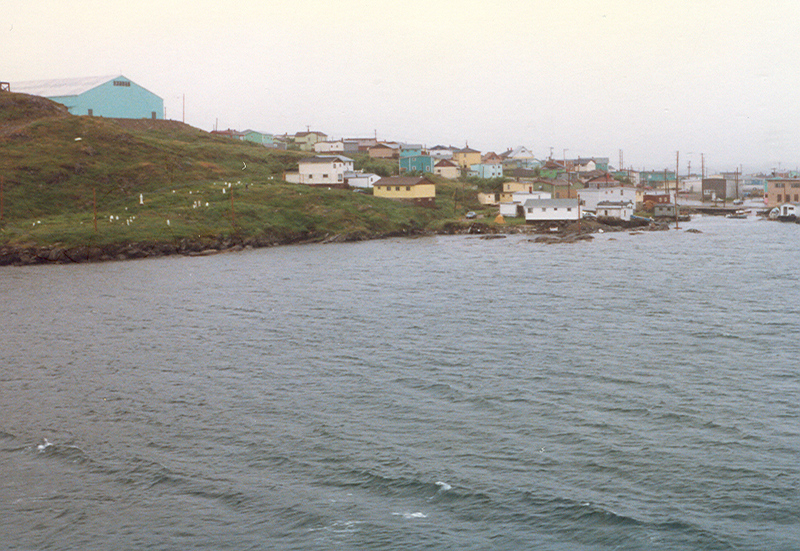 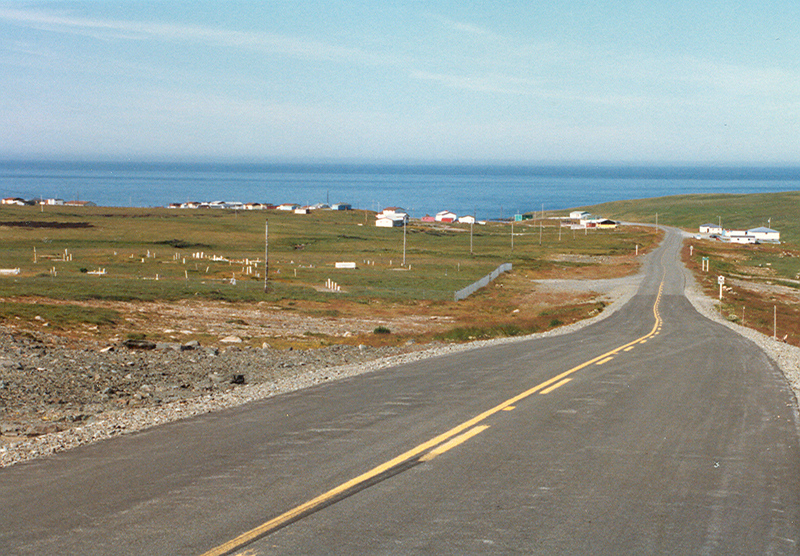 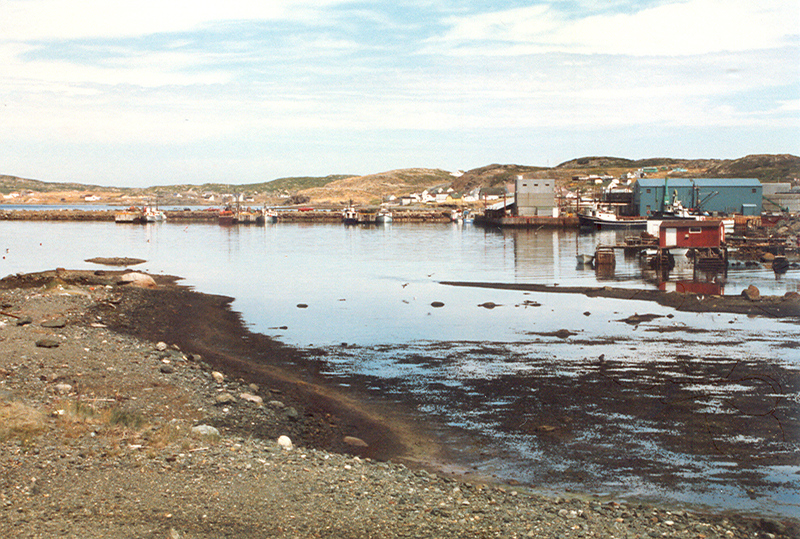 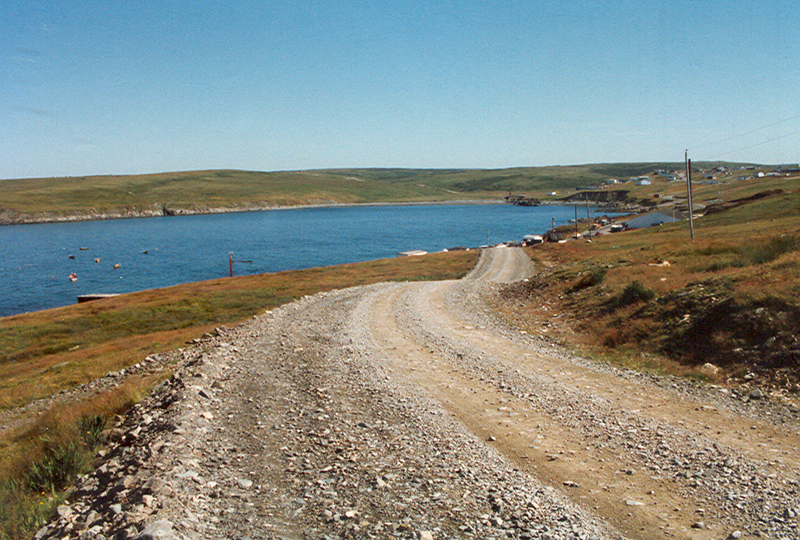 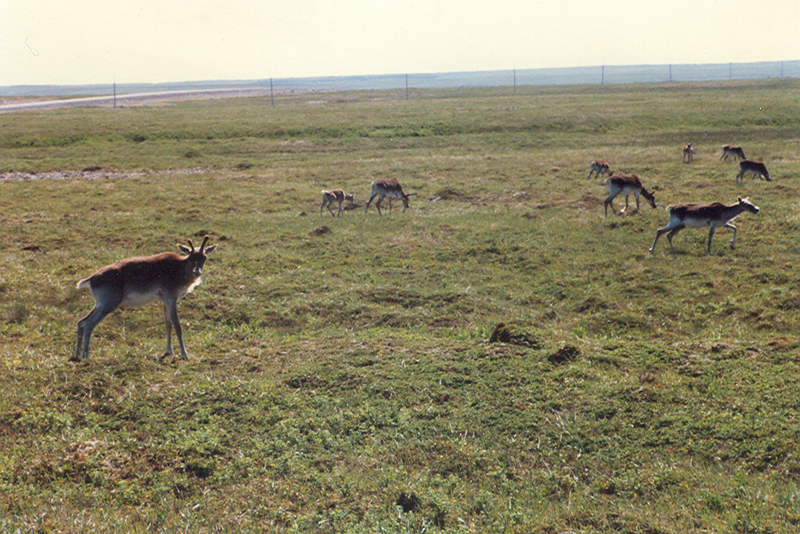 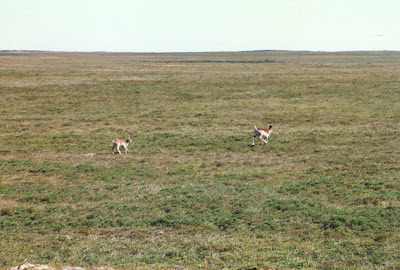 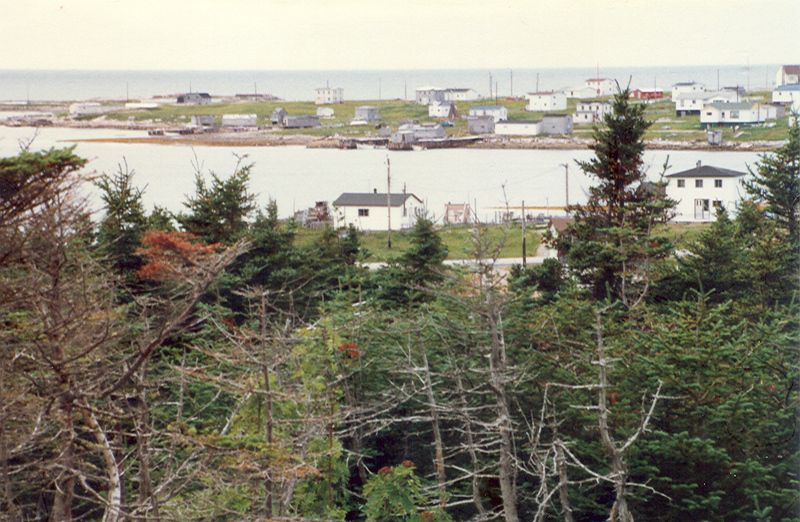 "We visited St. Anthony, which is near the end of the Great Northern Peninsula and the northernmost city in Newfoundland. 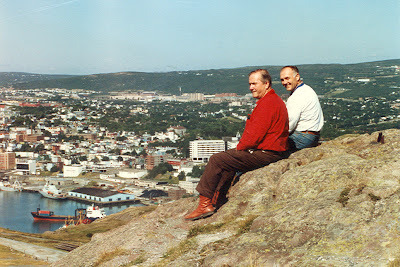 It is the home of the famous Grenfell Medical Mission, where we saw a helicopter swoop in toward the large modern hospital as we rode through town. 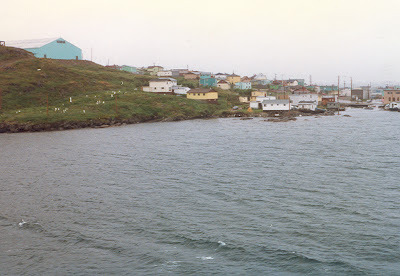 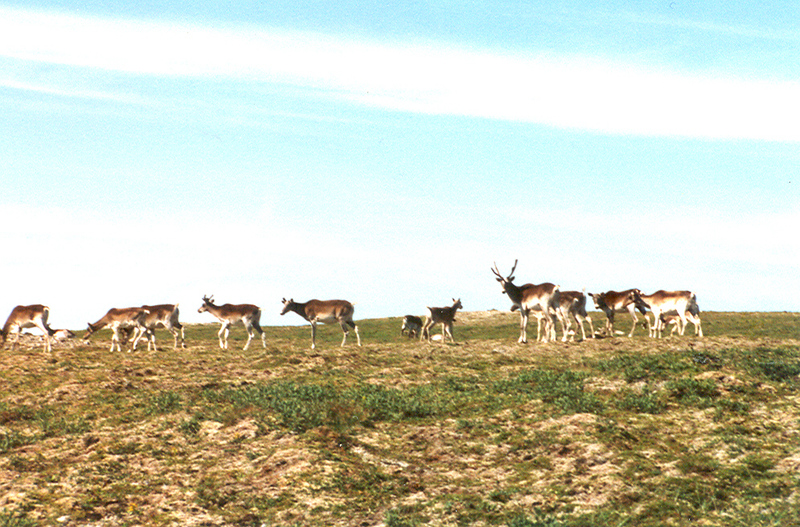 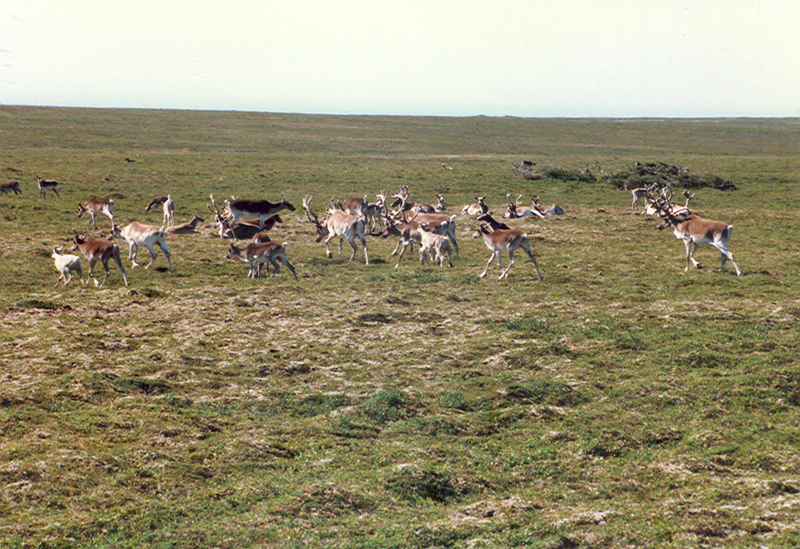 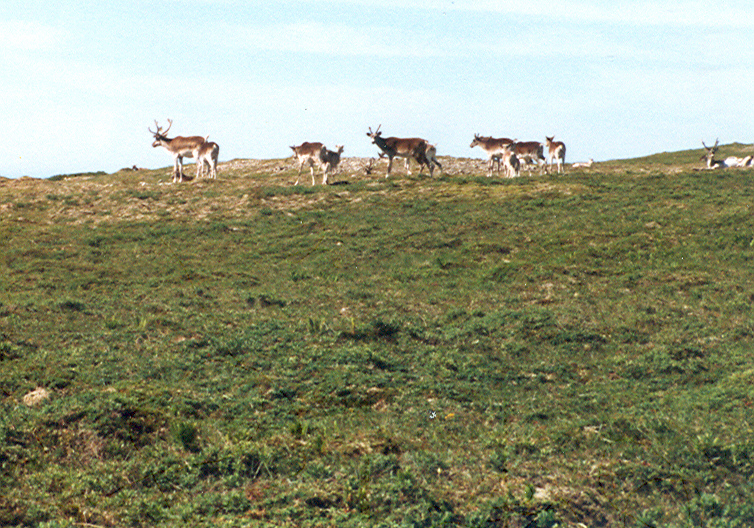 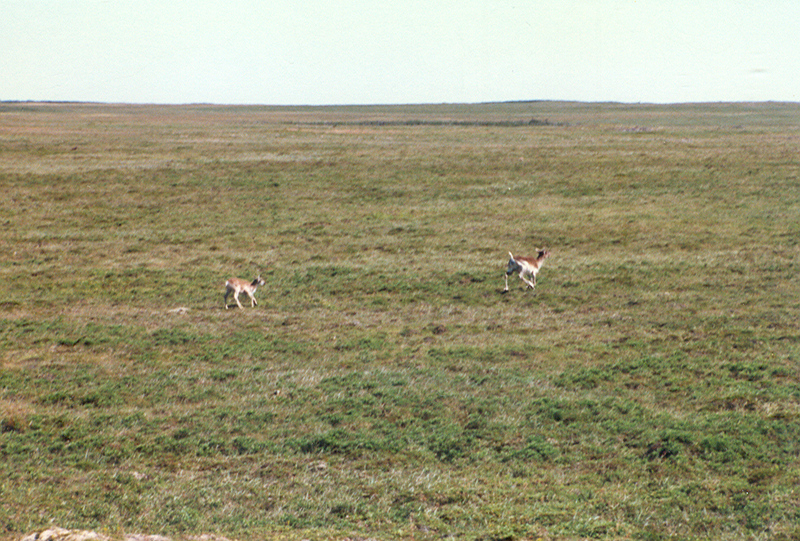 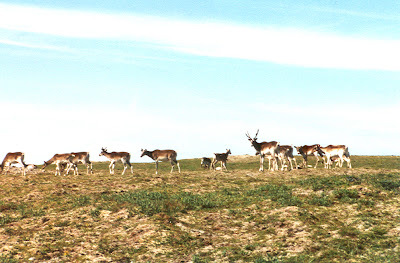 The hospital supports a large surrounding area including remote Eskimo communities on the mainland as well as other islands much farther north. 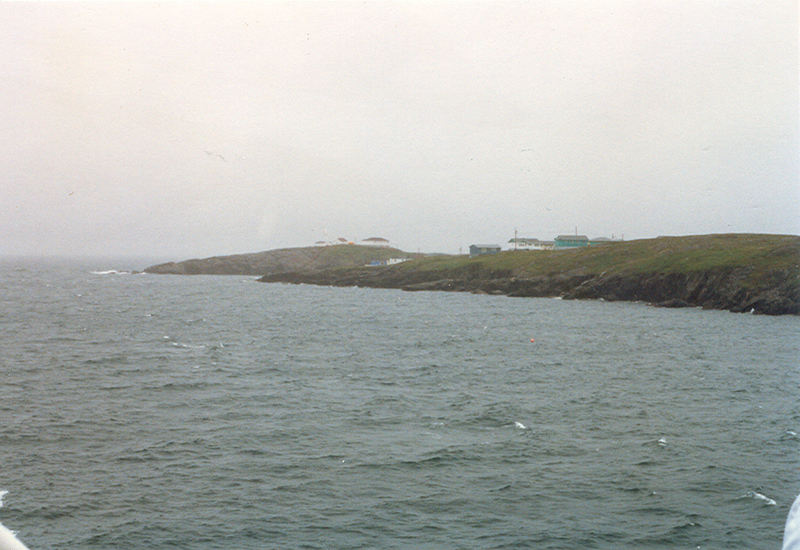 We encountered the only significant rain of the trip in St. Anthony and decided to skip a side visit to L'Anse-aux-Meadows, site of the first Viking settlement in North America. 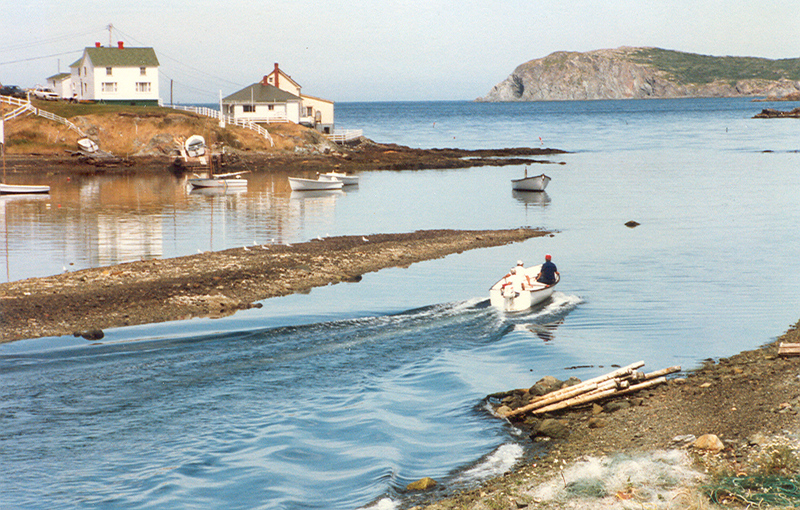 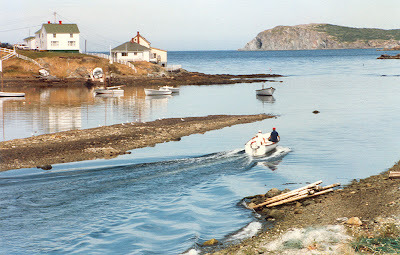 "On our return down the peninsula near Eddies Cove along the Viking Trail we saw a group of huge icebergs in the Strait of Belle Isle as they drifted near the Labrador coast on their way to the open Atlantic. 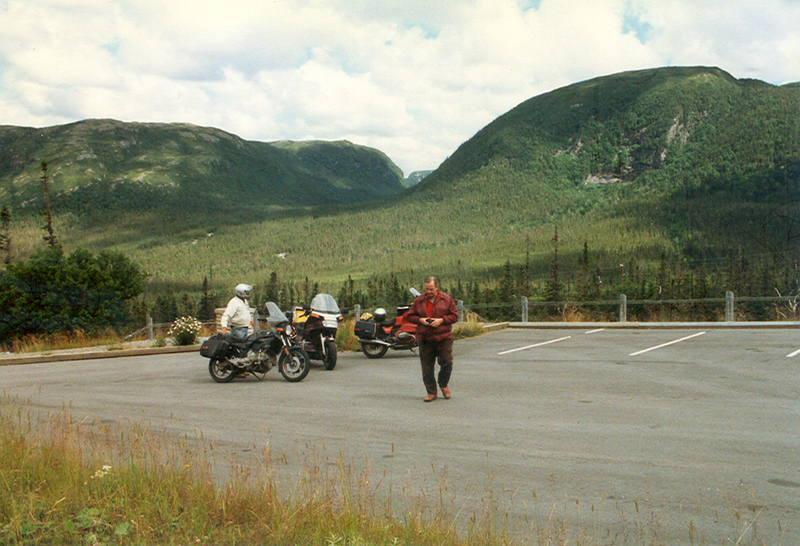 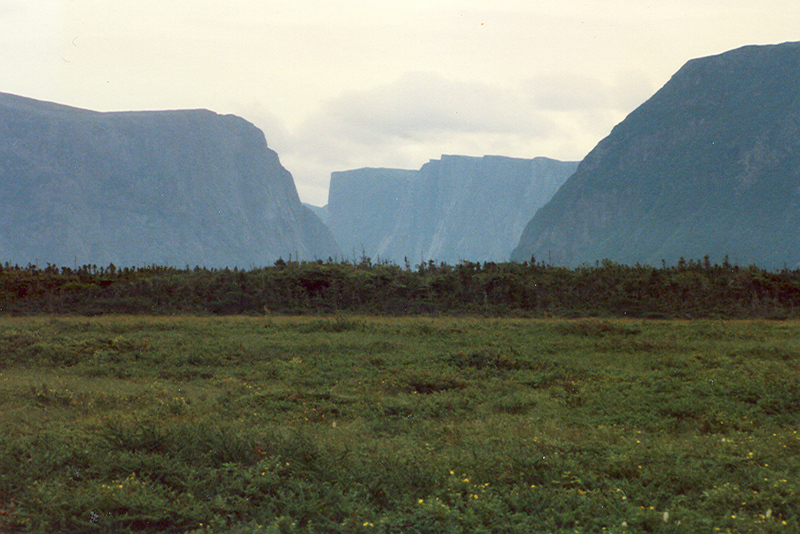 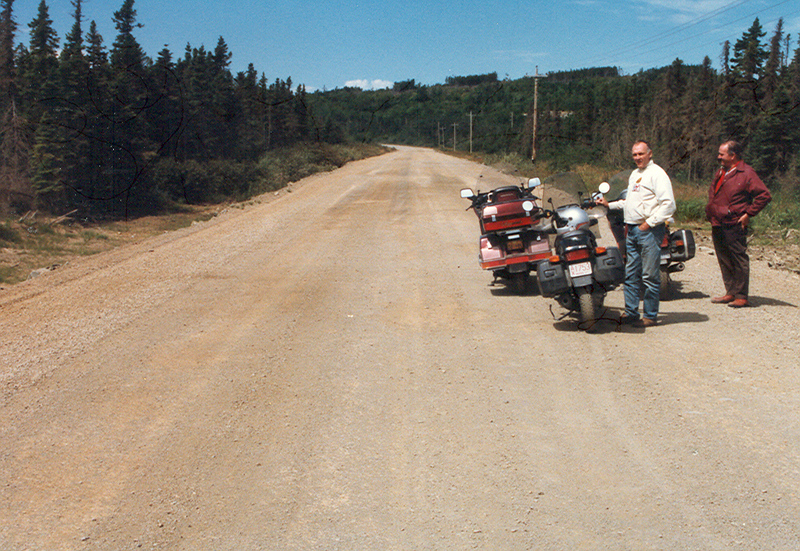 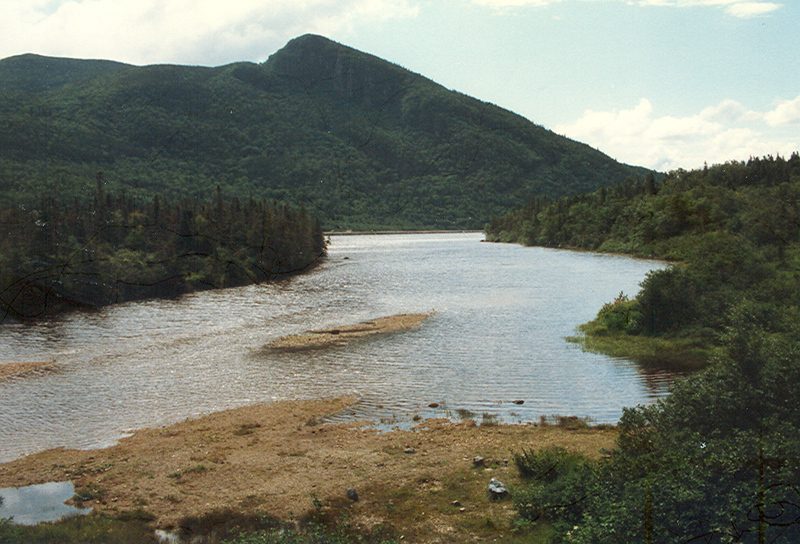 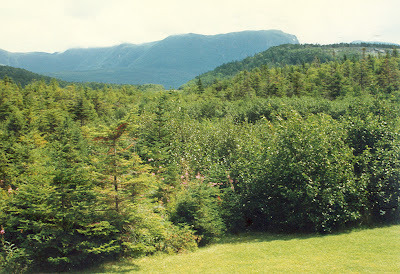 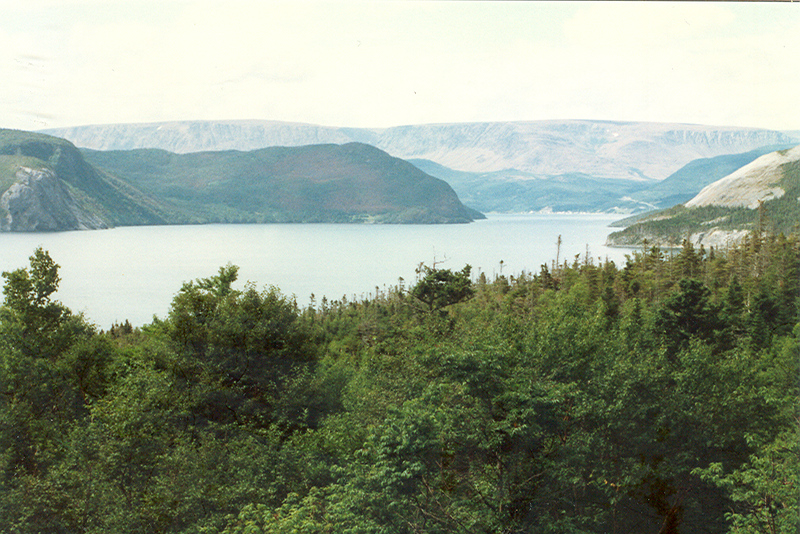 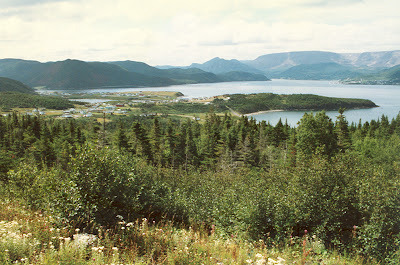 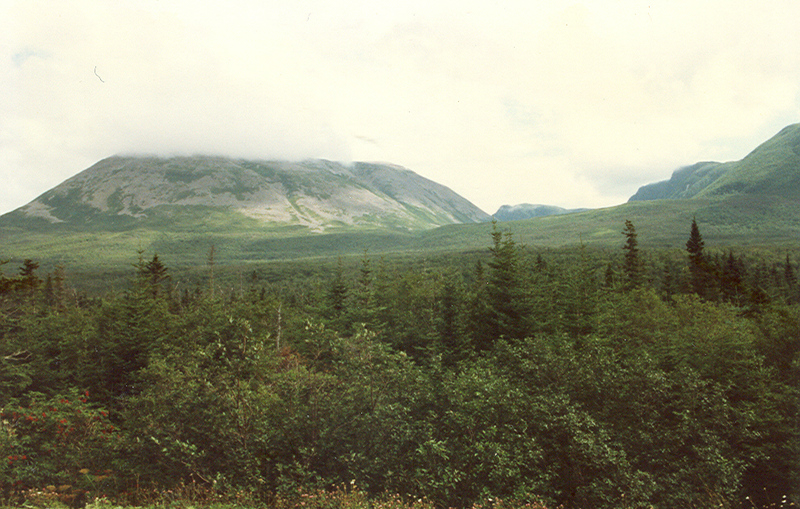 We passed through Gros Morne National Park on our way to and from St. Anthony. 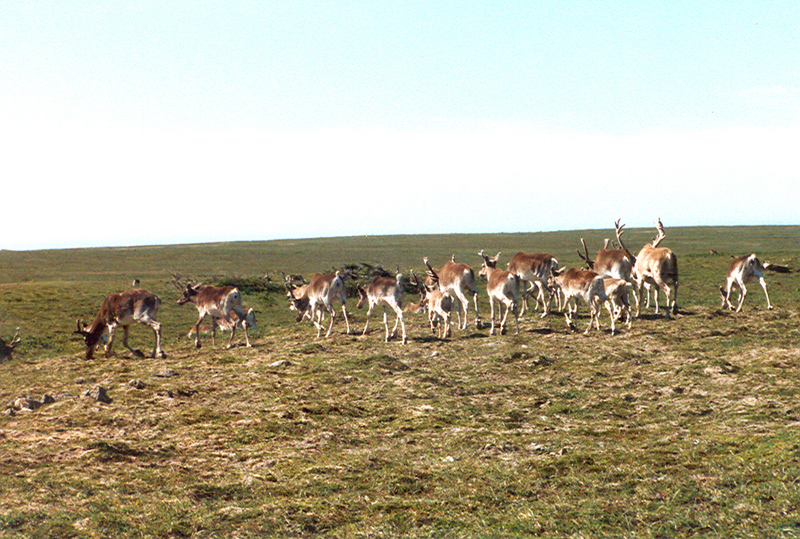 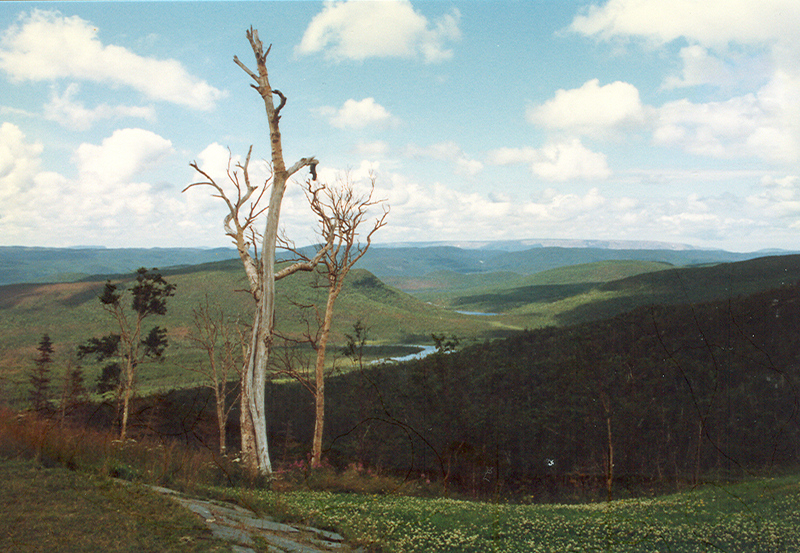 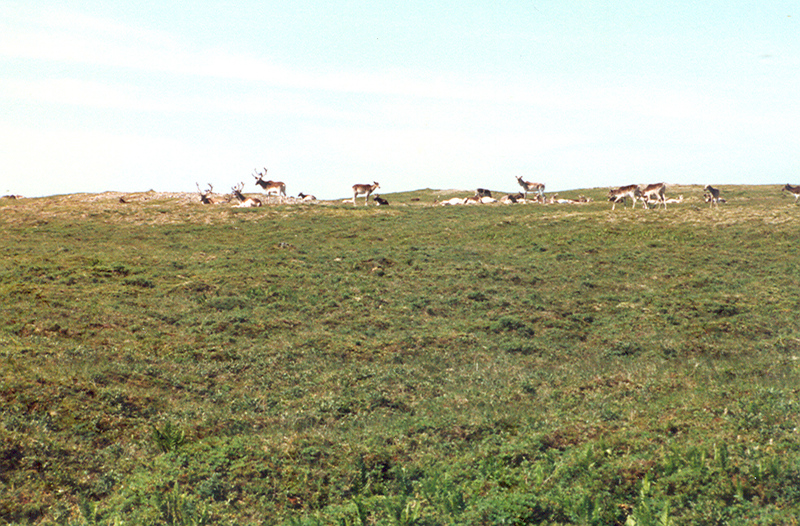 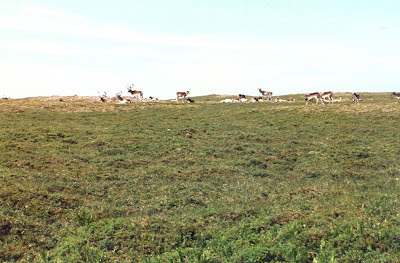 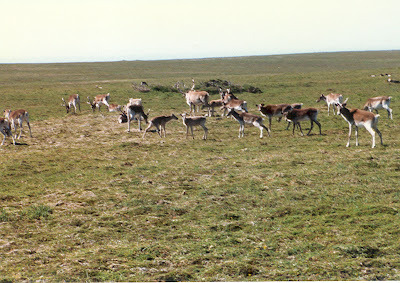 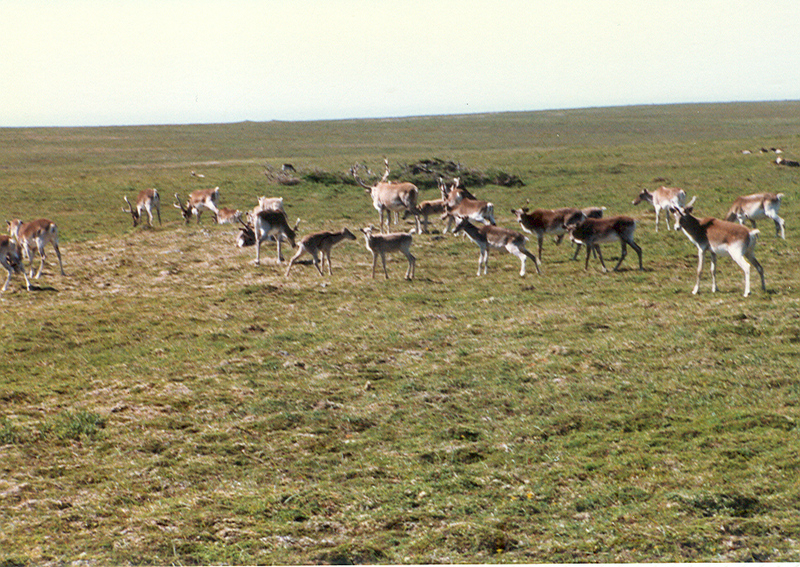 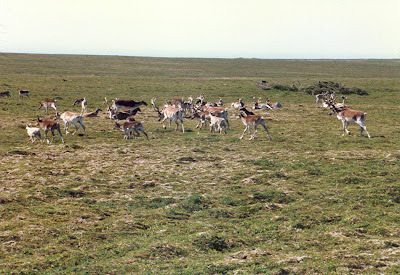 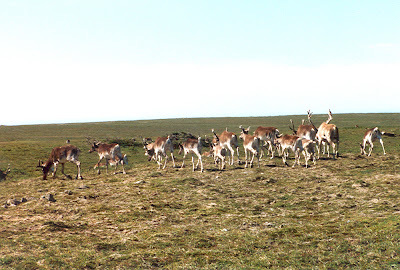 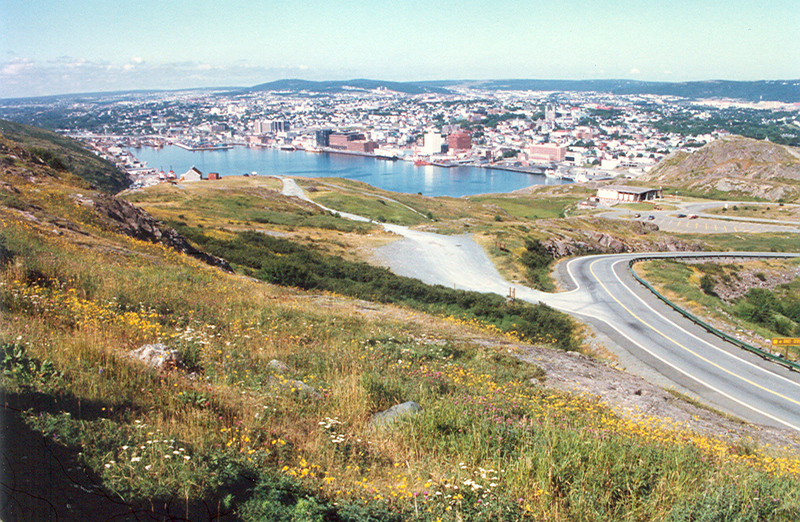 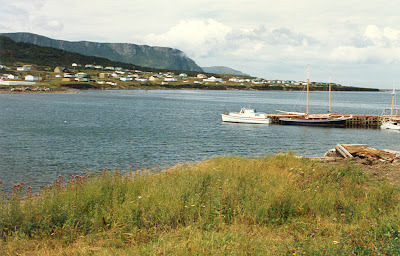 The park offers some of the most magnificent scenery on the island with its many majestic fjords, lakes, and mountains. 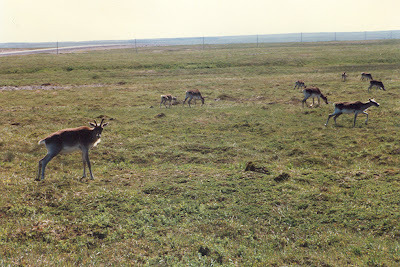 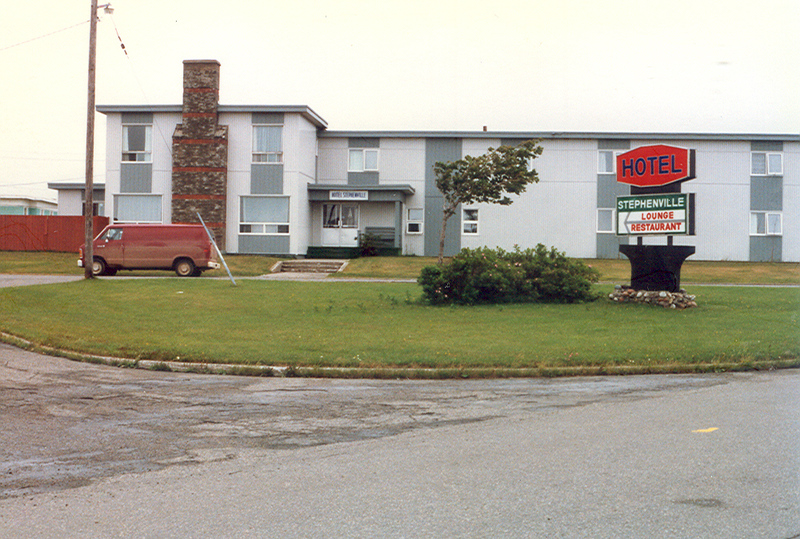 "Our last night in Newfoundland was spent at a motel at Plum Point on the northern peninsula, where we enjoyed the best food of our trip in the small motel dining room. 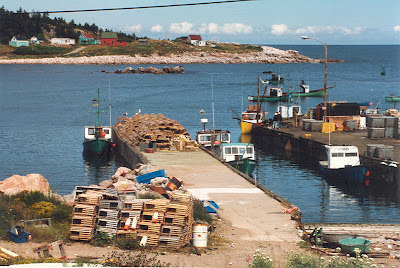 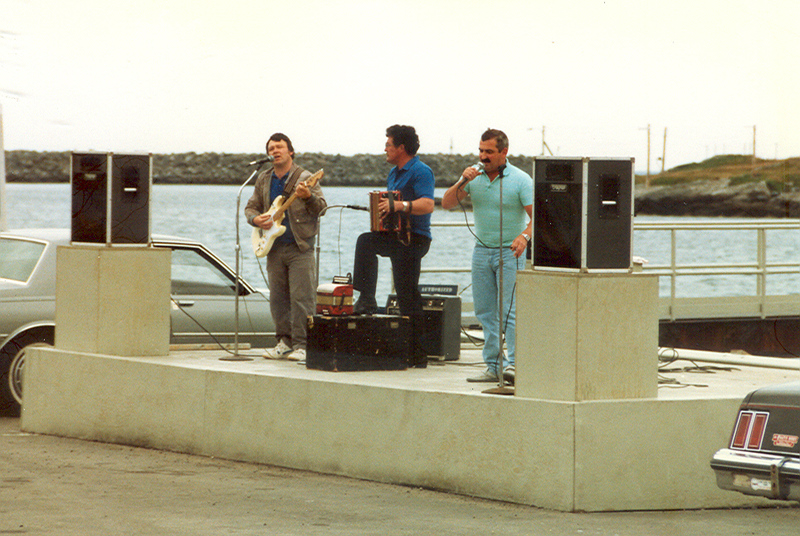 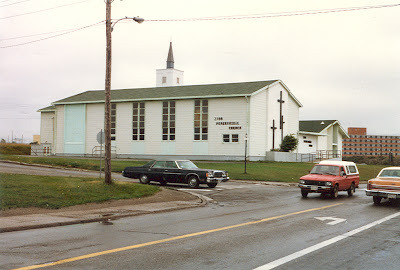 Aside from many identifiable items they served a full menu of traditional Newfoundland dishes such as fish 'n brewis, cod tongues, cod-au-gratin, scrunchions, Atlantic salmon, and others. 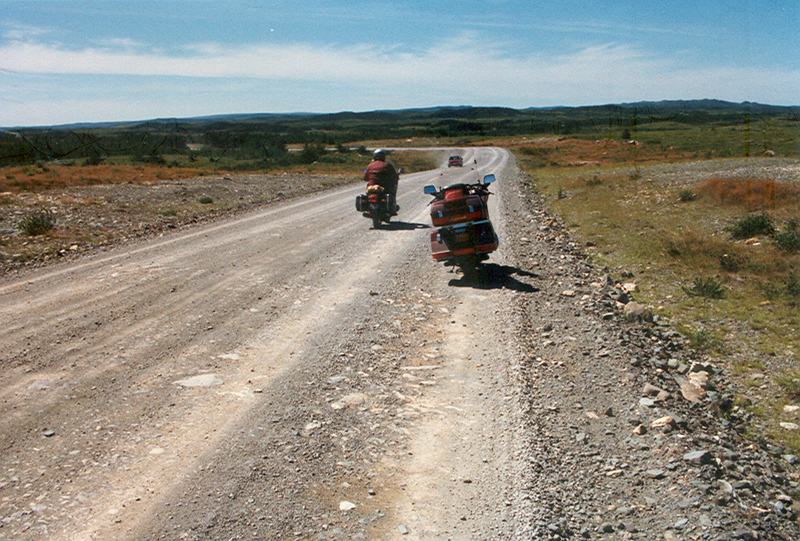 A major difference we noticed with the food in Newfoundland was with over-easy eggs and breakfast sausages. The eggs were usually served over hard and the sausages were always bland. 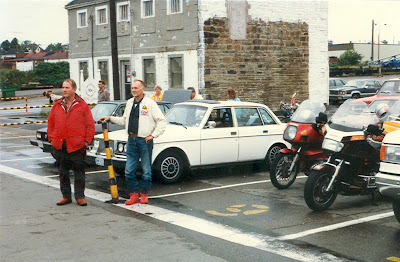 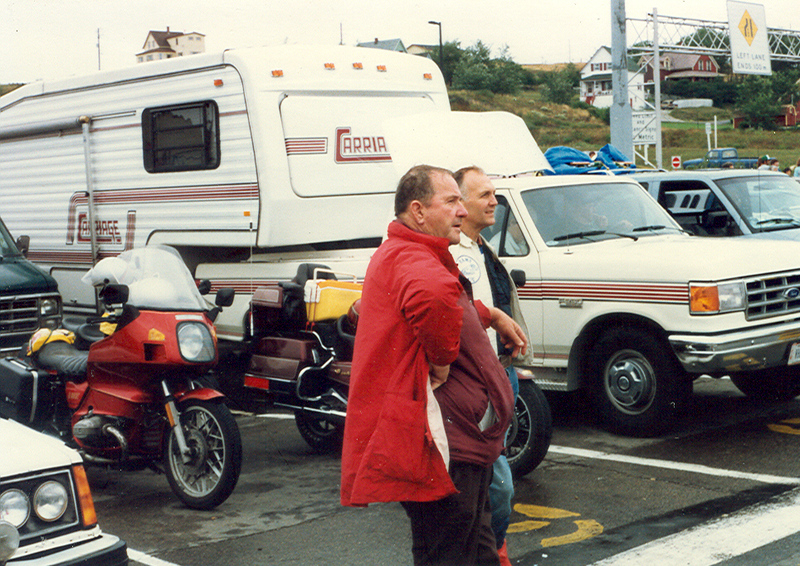 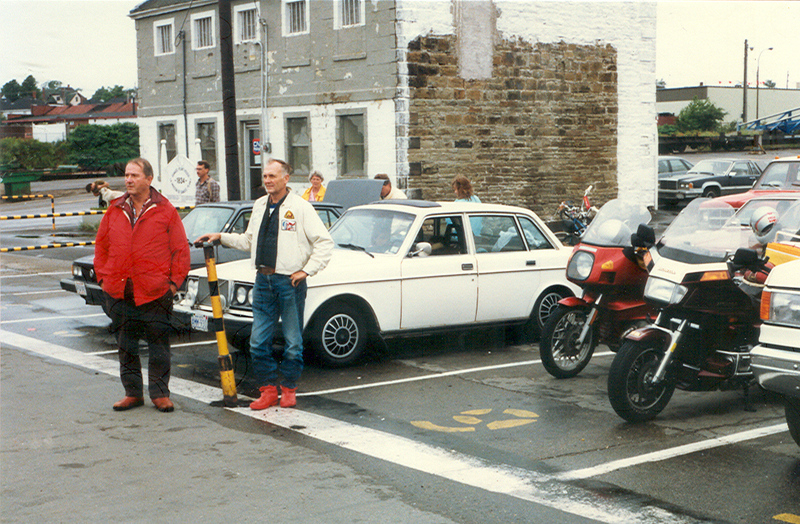 Once during the trip we stopped for breakfast at a McDonald’s, hoping to get spicy sausages. 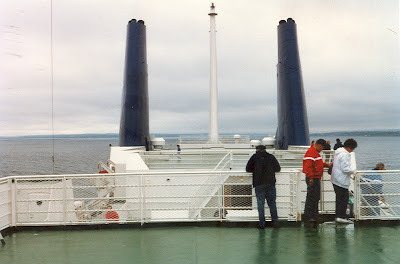 Instead they served the blandest sausages we ever tasted at a Mickey D’s. I took the following photos of the trip. 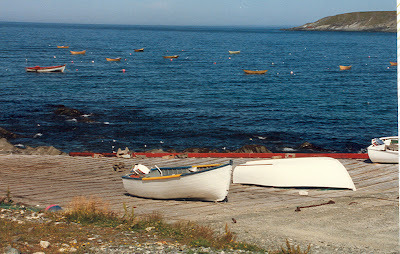 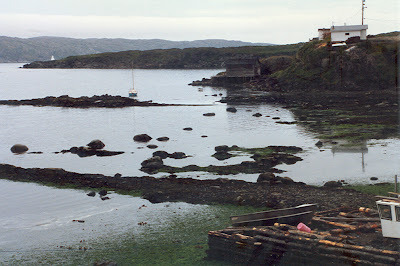 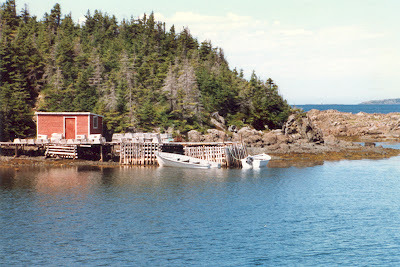 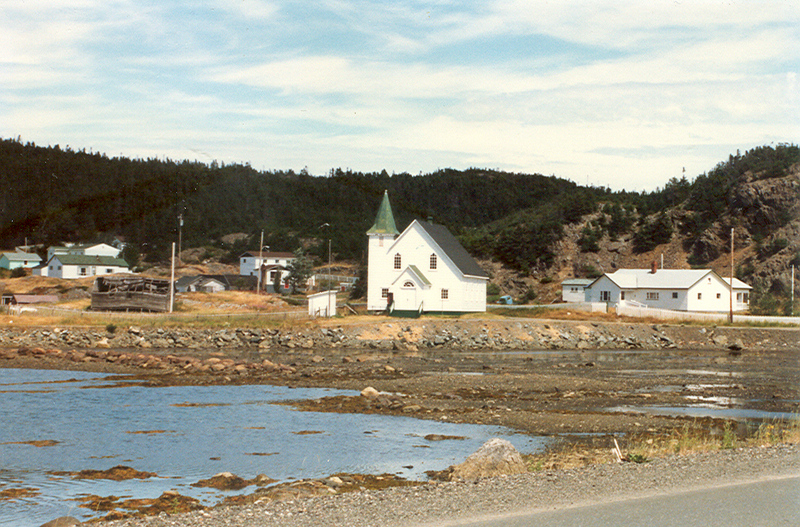 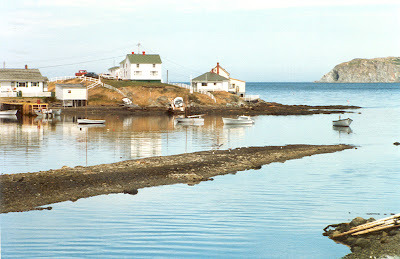 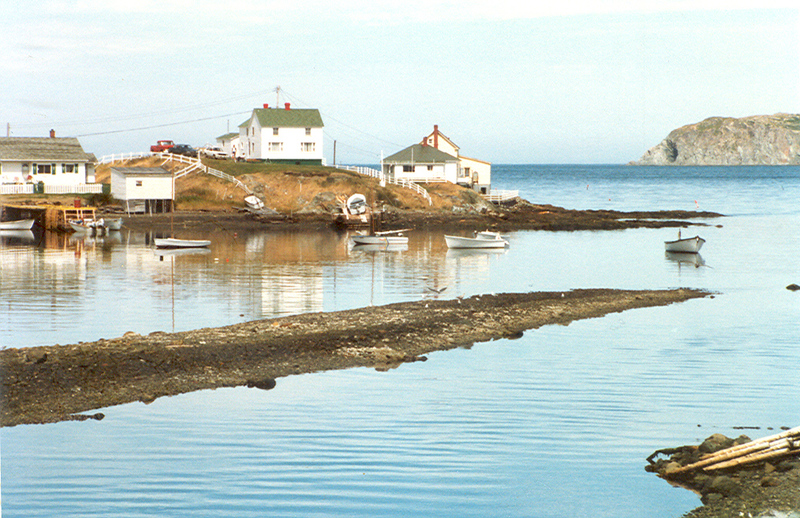 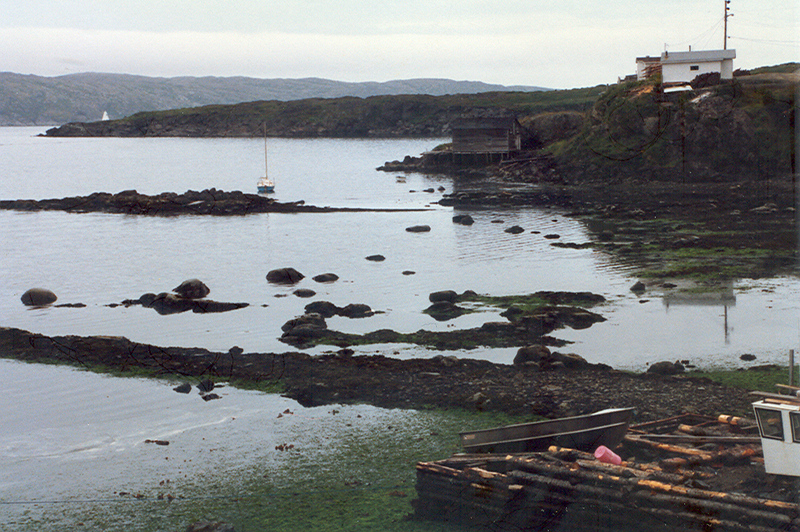 Most of the small fishing villages along the Atlantic coastline are exceptionally picturesque. 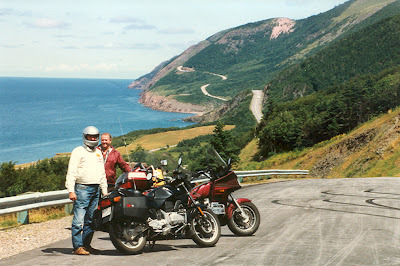 On our way home from Newfoundland, we took a side trip to Mt. 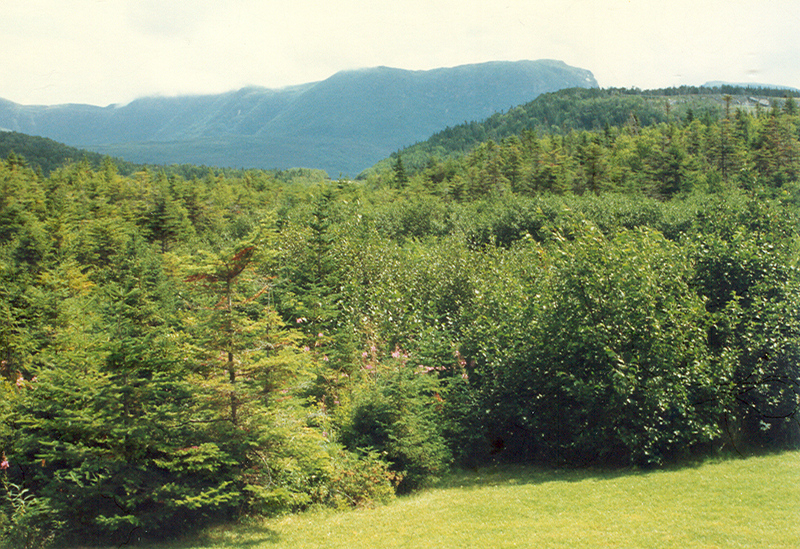 Washington in New Hampshire. 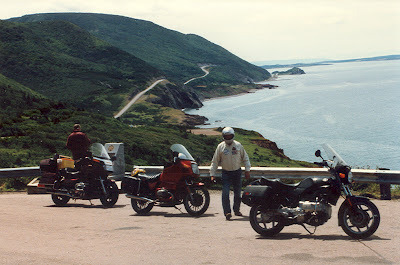 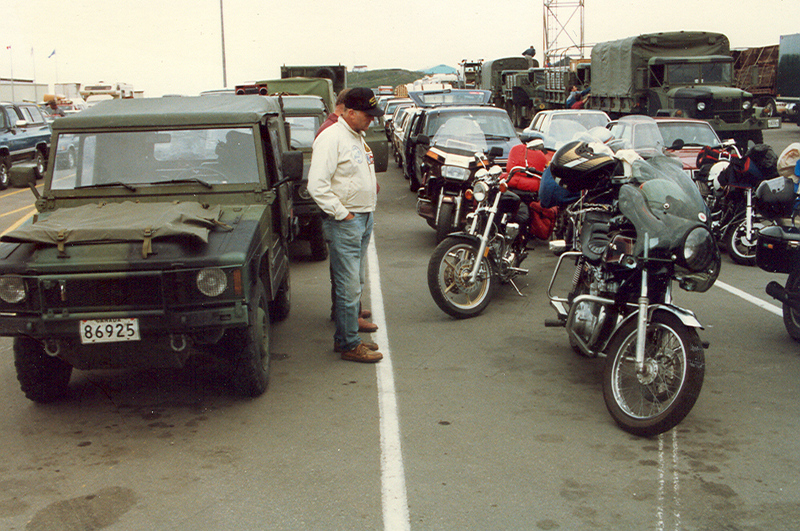 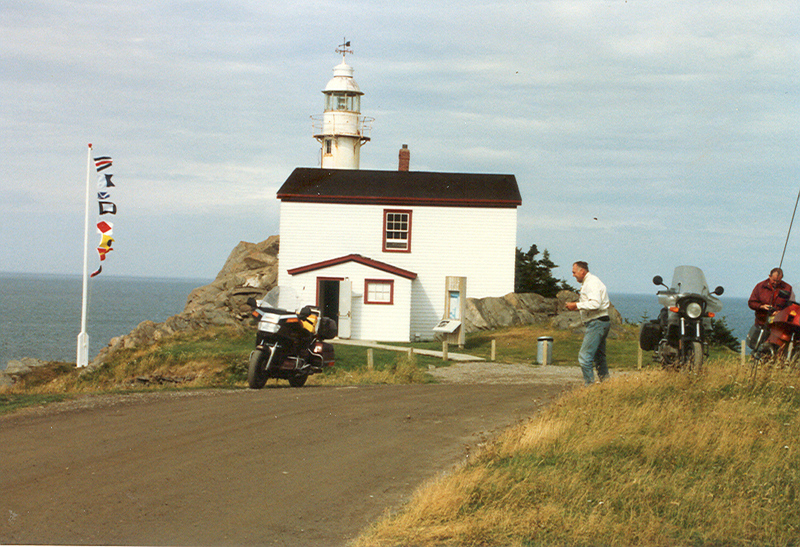 Since it wasn't mentioned in my book, Motorcycling Stories, I'll post the photos of that side trip under a separate heading. 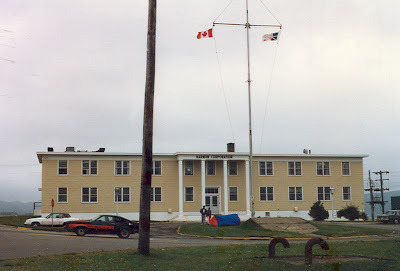 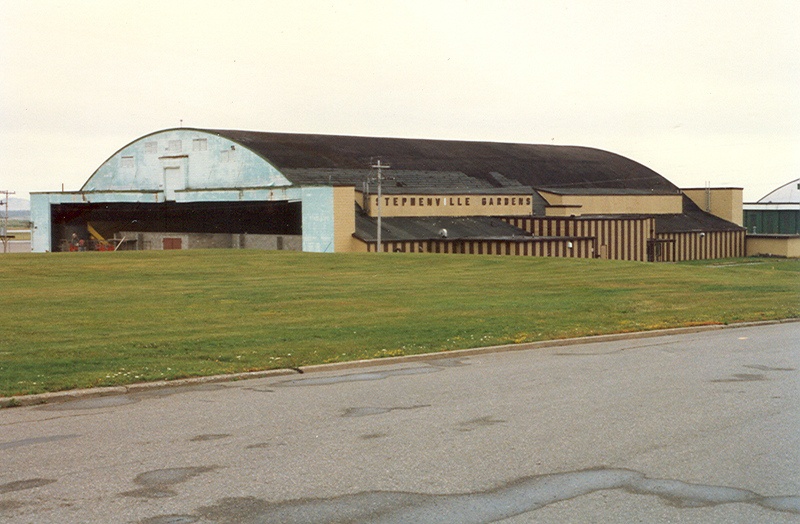 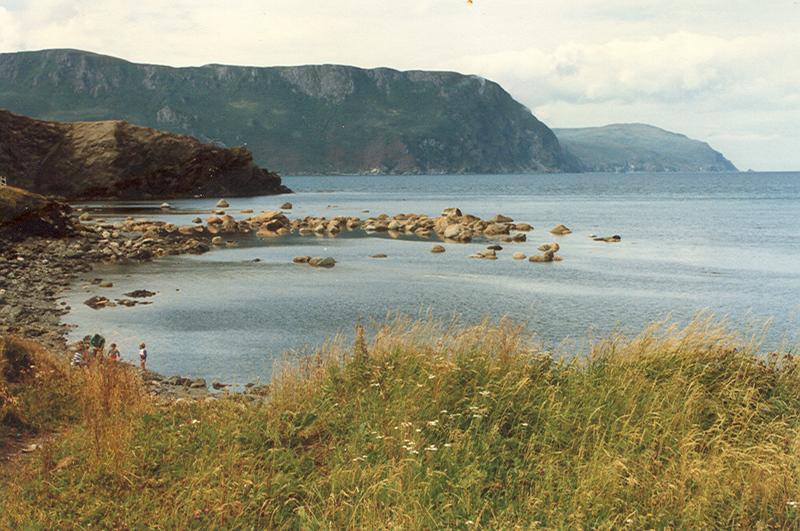 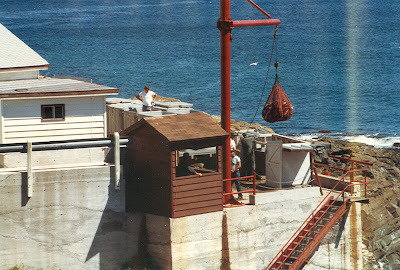 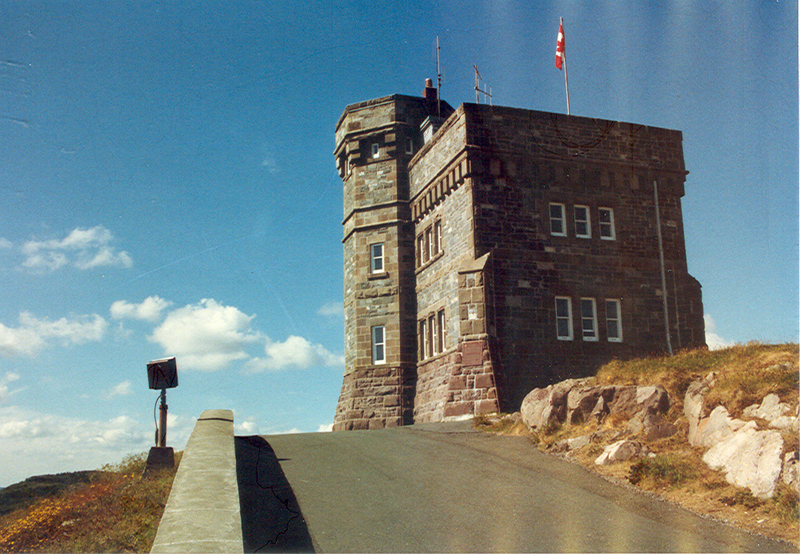 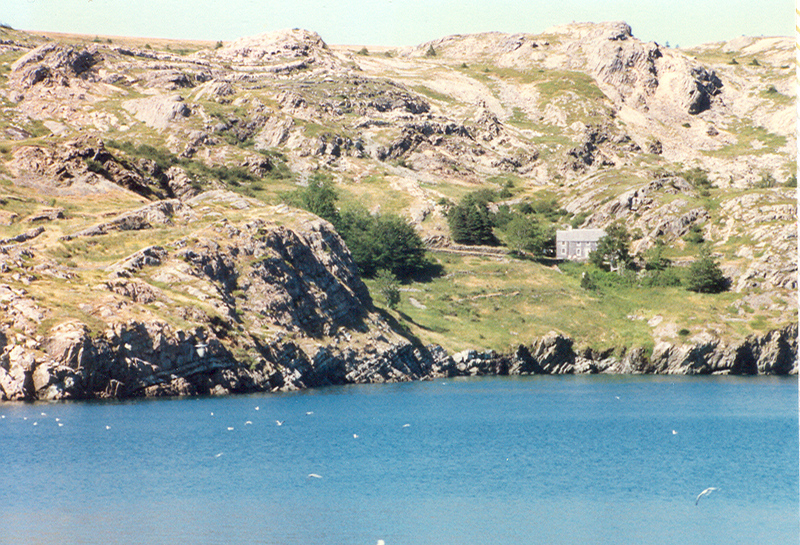 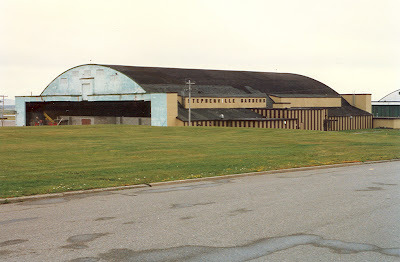 I was stationed there at La Scie WB in 1957-1958.